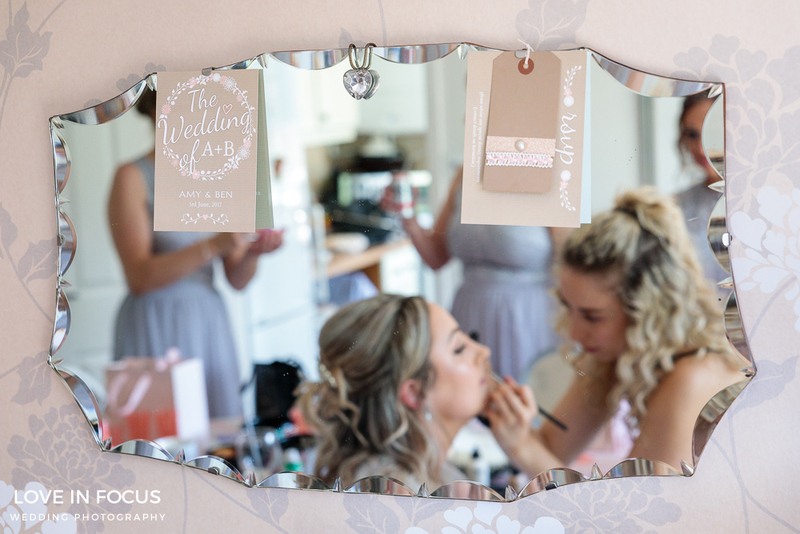 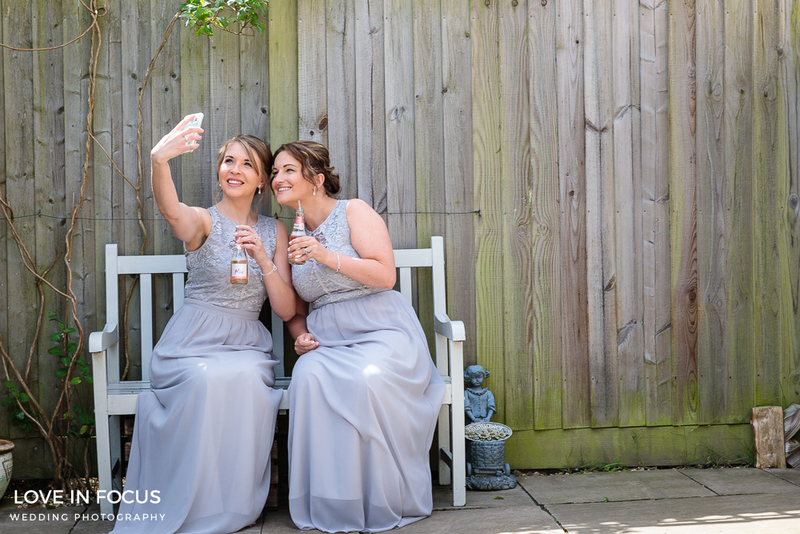 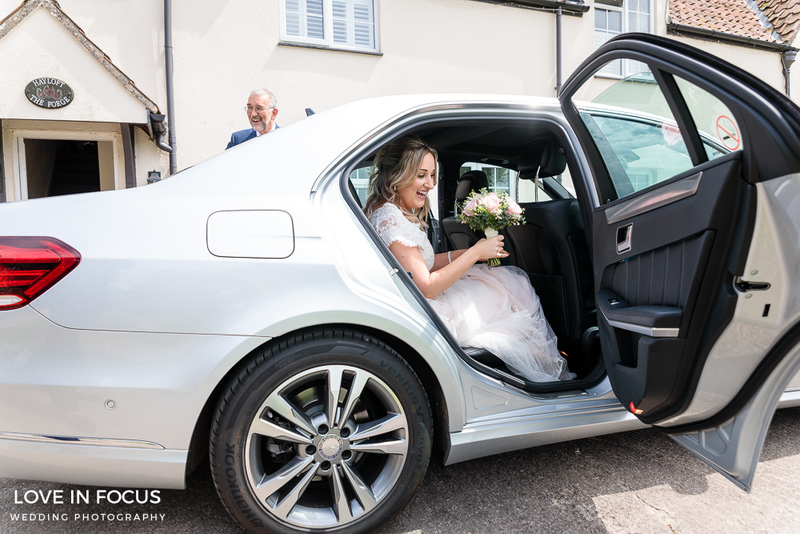 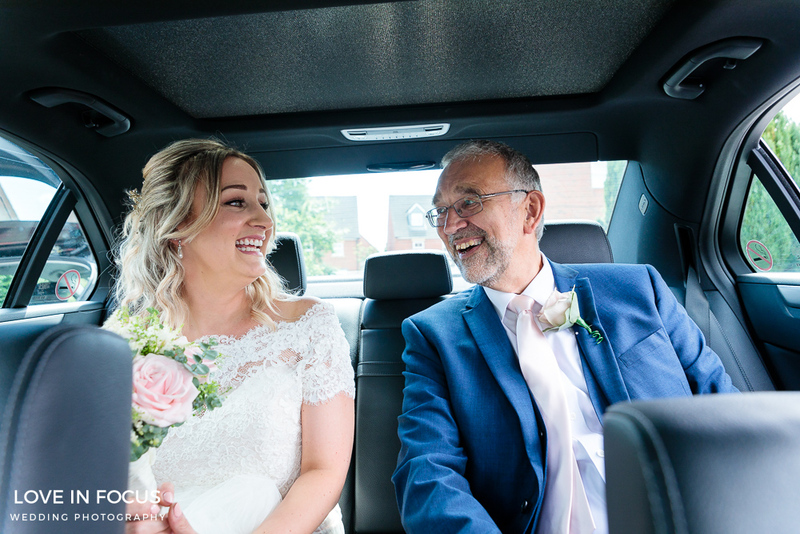 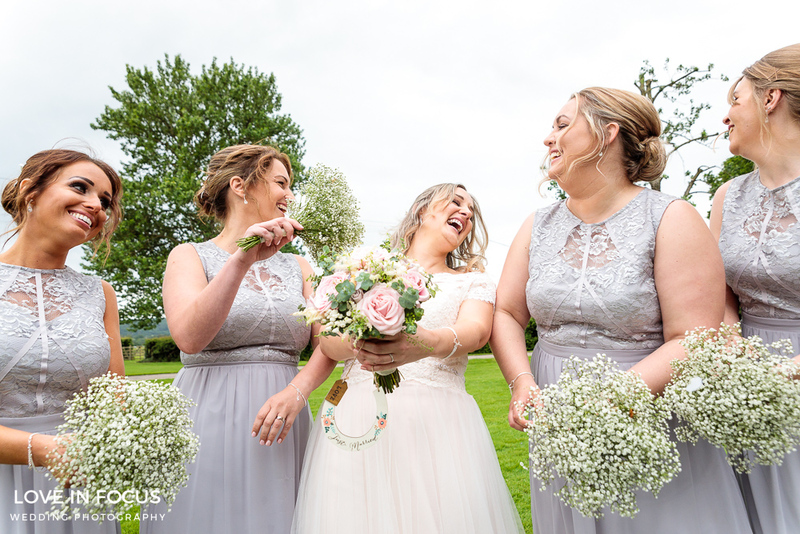 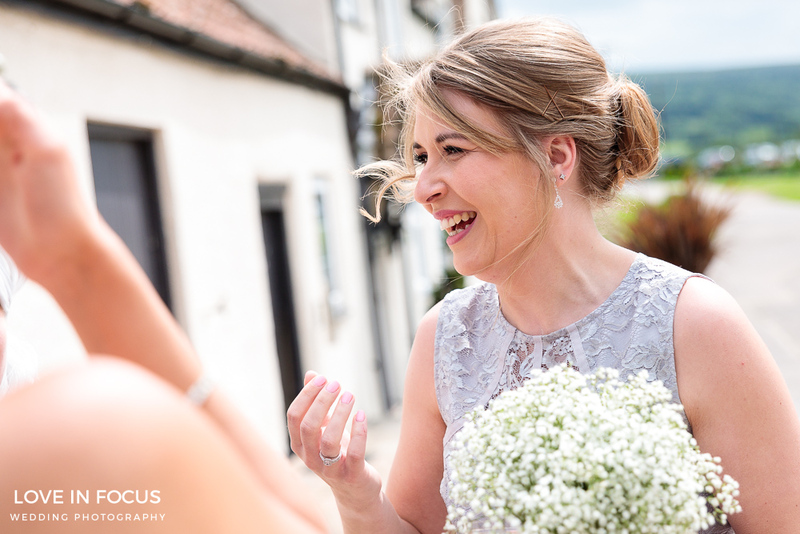 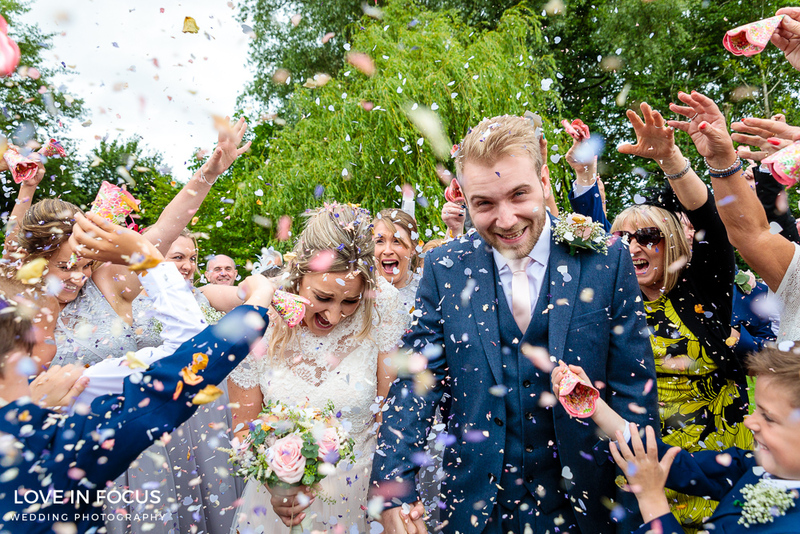 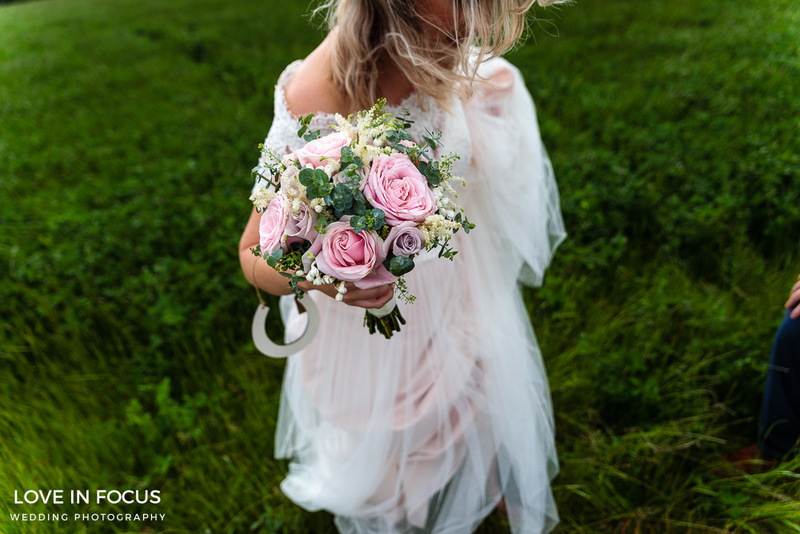 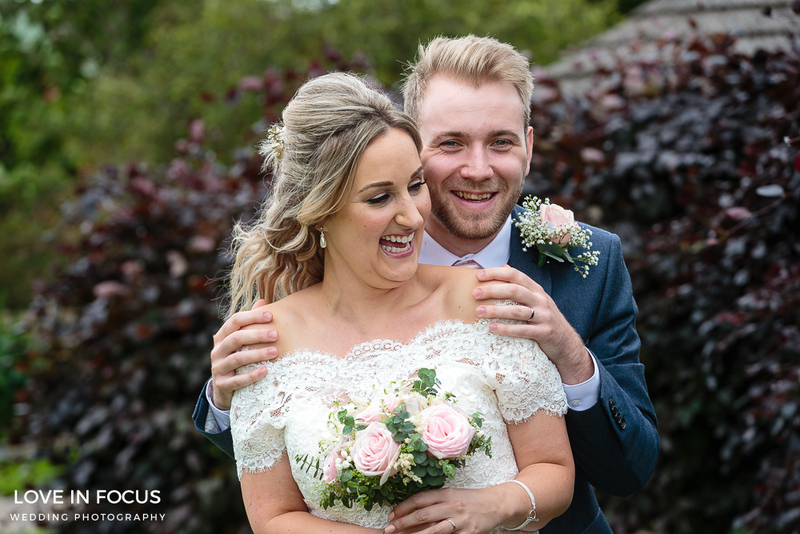 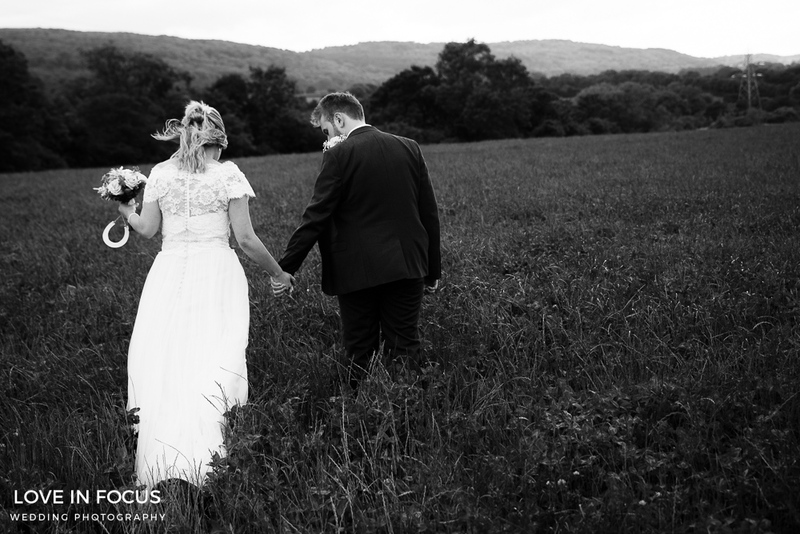 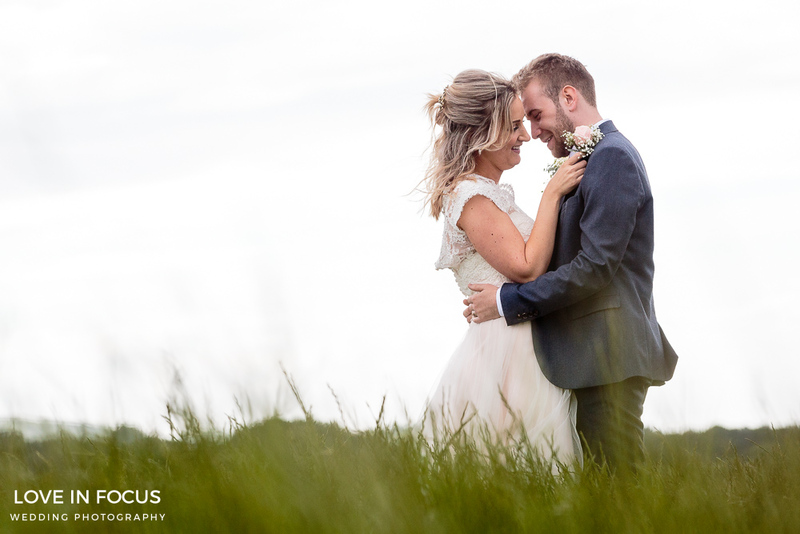 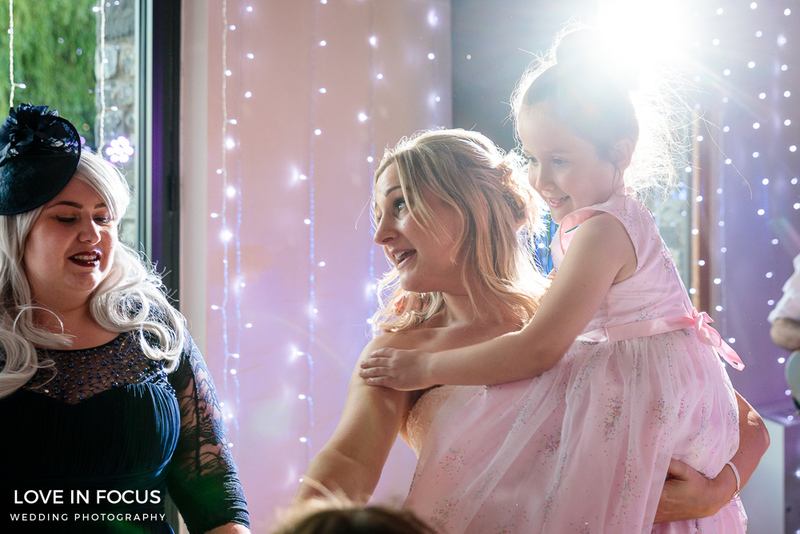 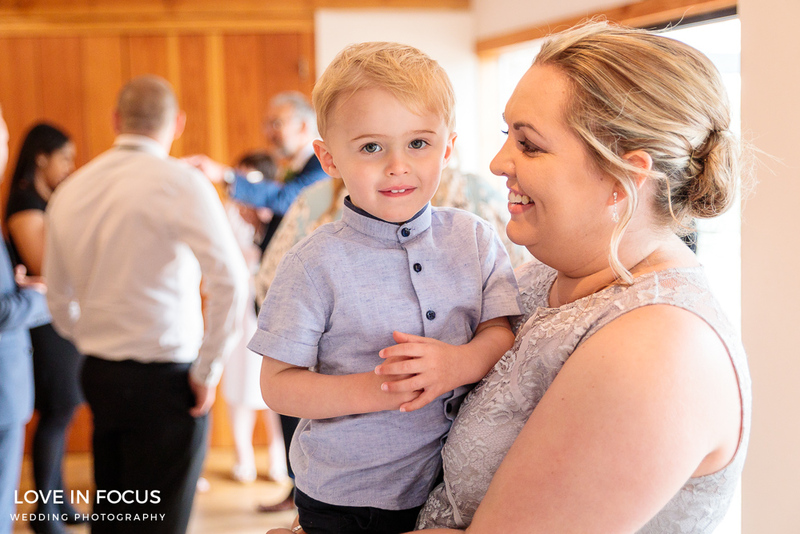 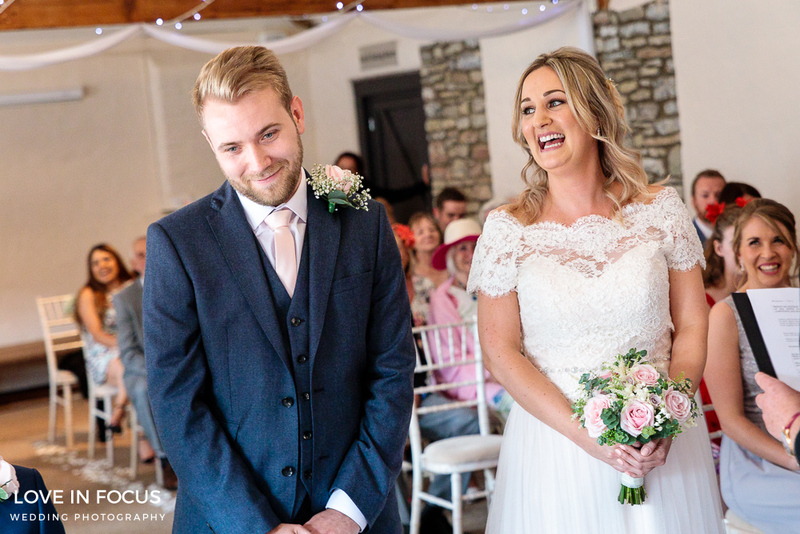 Getting to shoot any Somerset wedding photography on a bright and sunny day is one of the many upsides of my job – so getting to shoot Aldwick Court Farm Wedding Photography on a bright and sunny day is just about as good as this job gets. 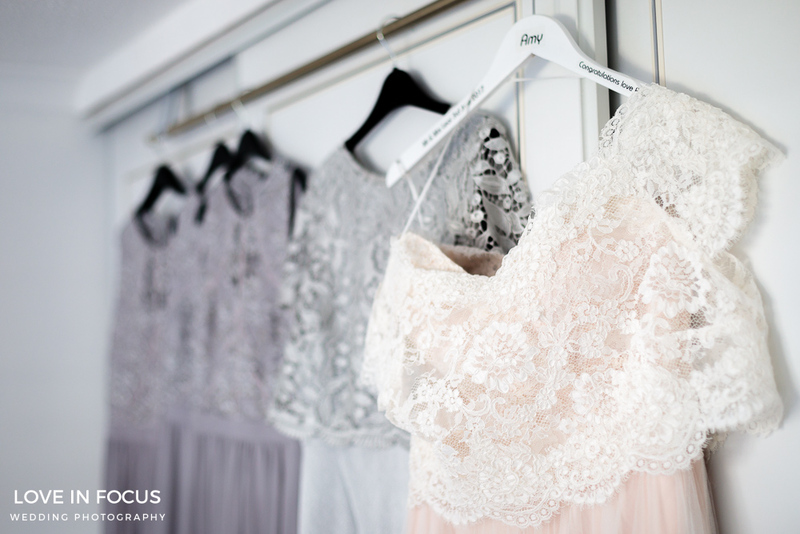 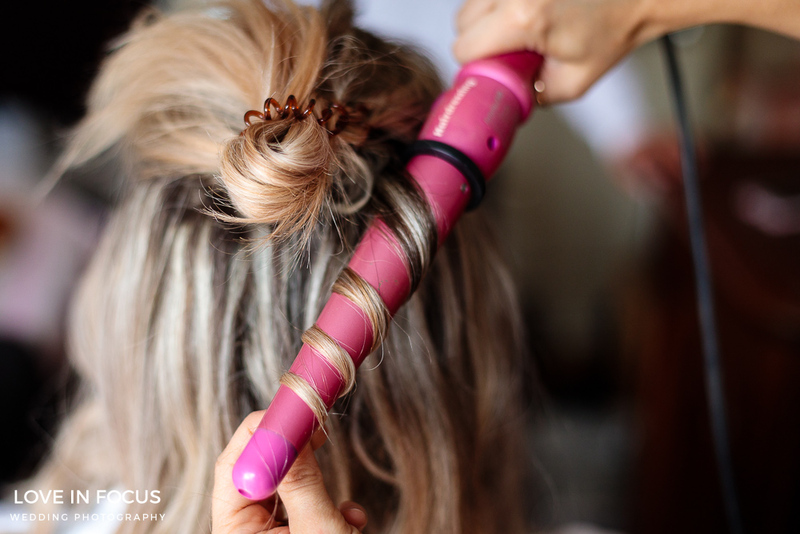 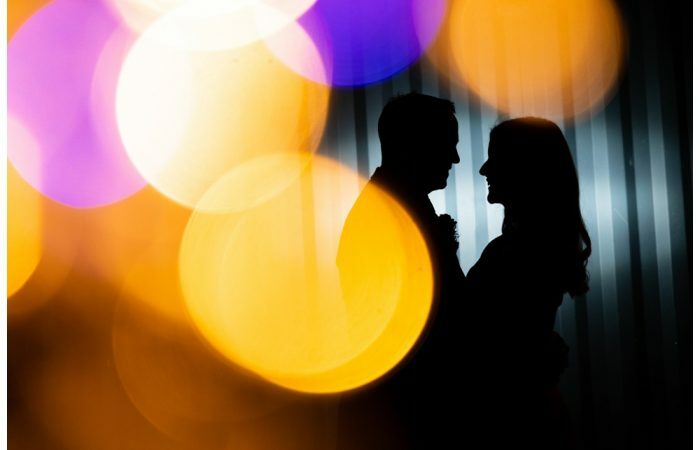 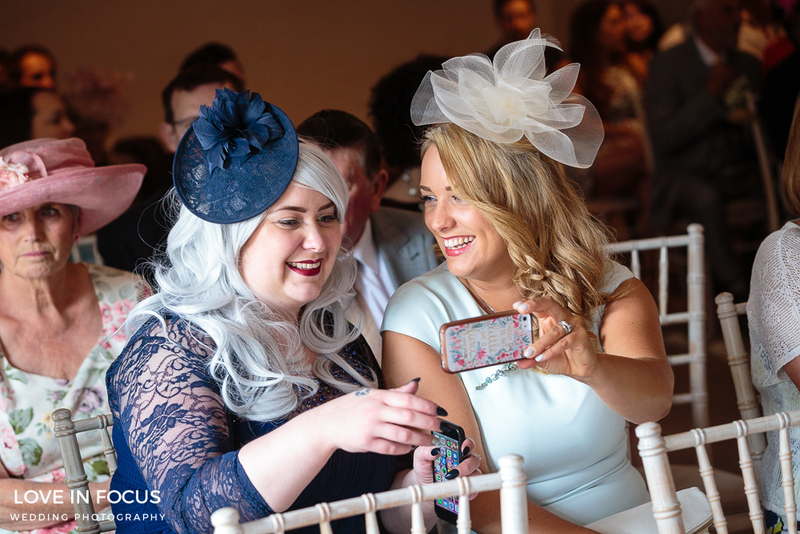 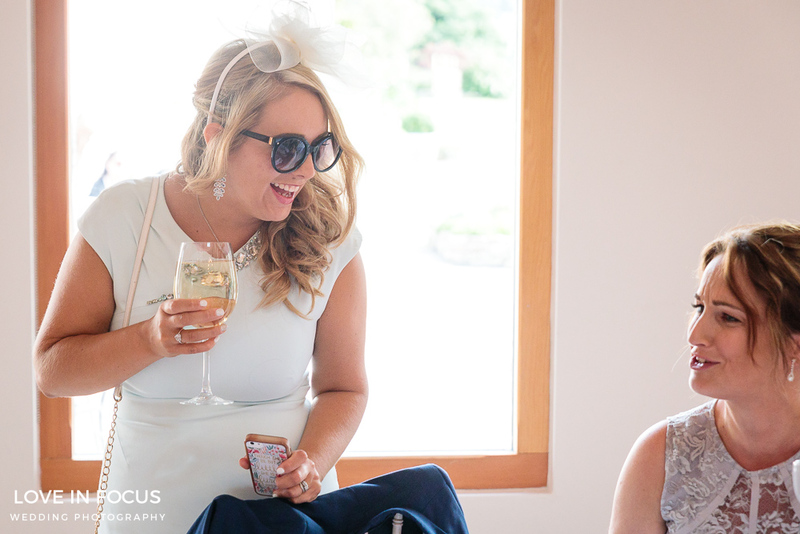 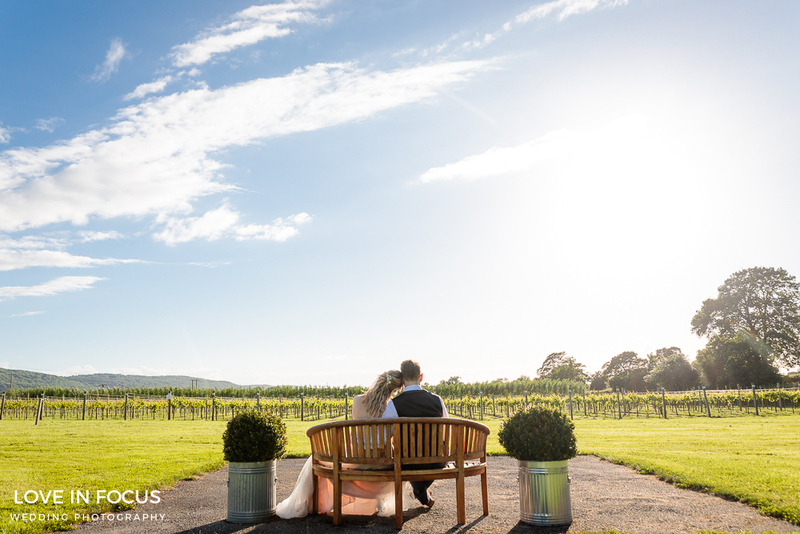 Amy and Ben chose the perfect venue for their spring wedding. 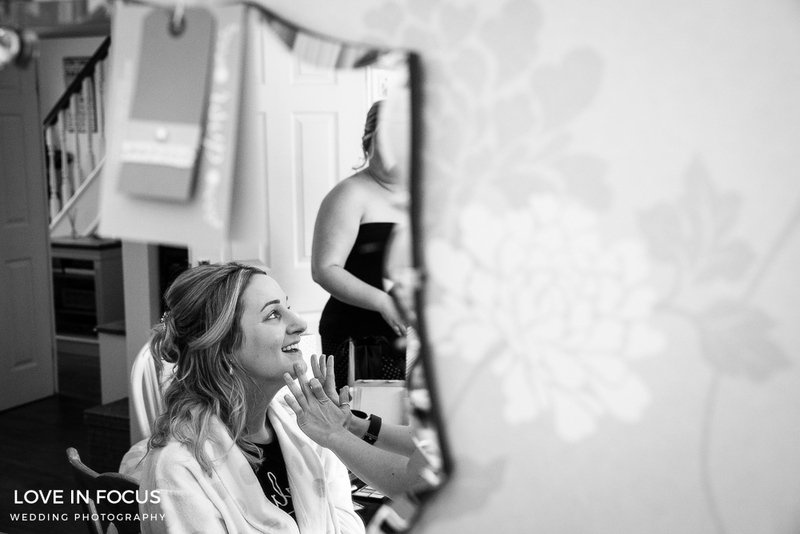 On the day I arrived at Amy’s parents’ house in Bristol to take some shots of Amy as she got ready for the day. 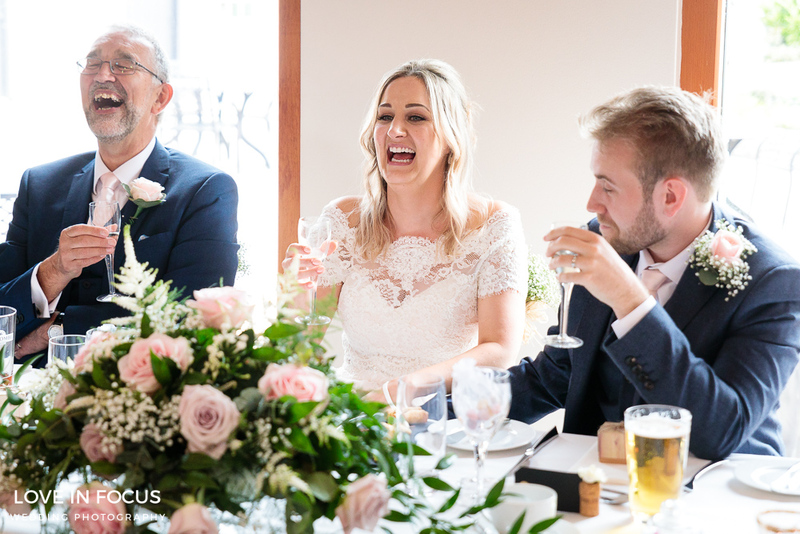 Amy, her parents and Amy’s bridal party were all in good spirits. 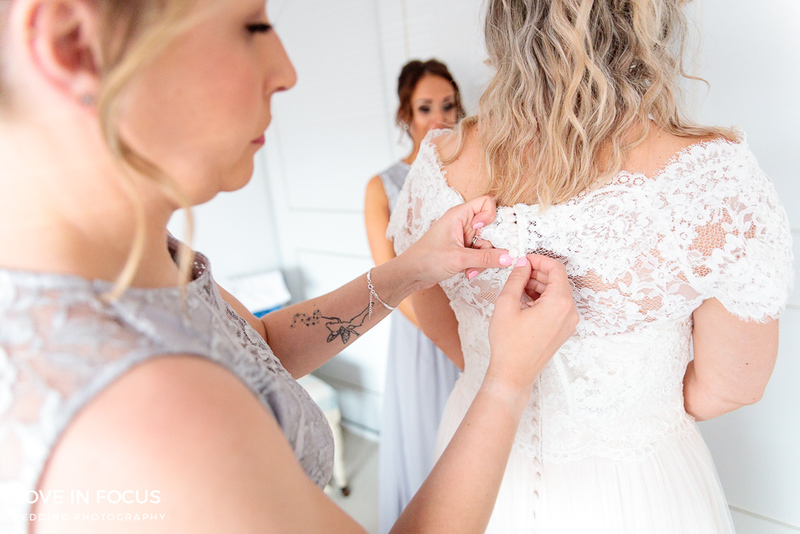 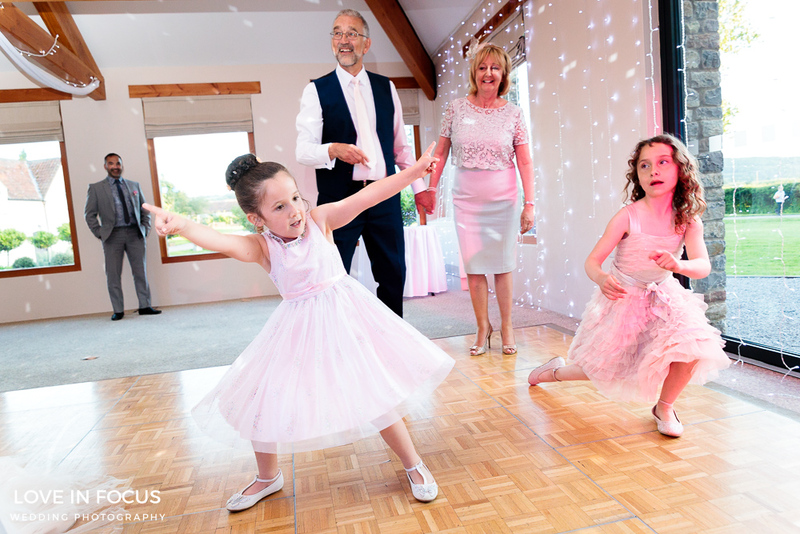 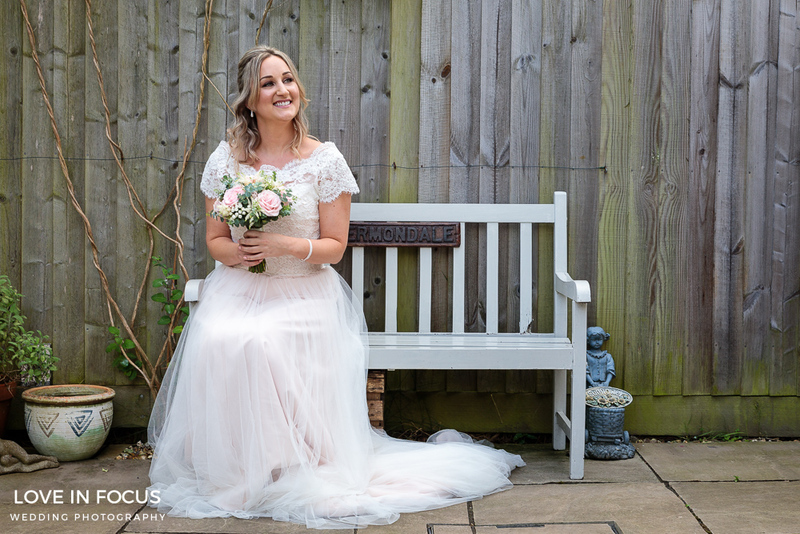 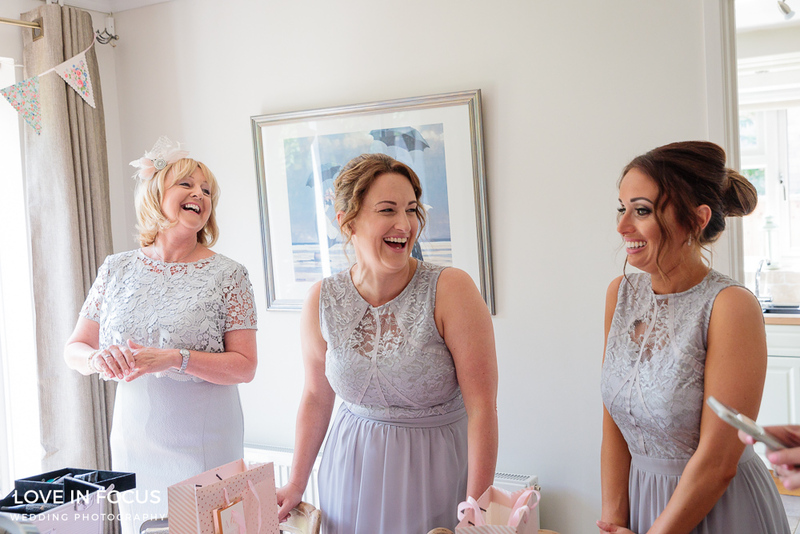 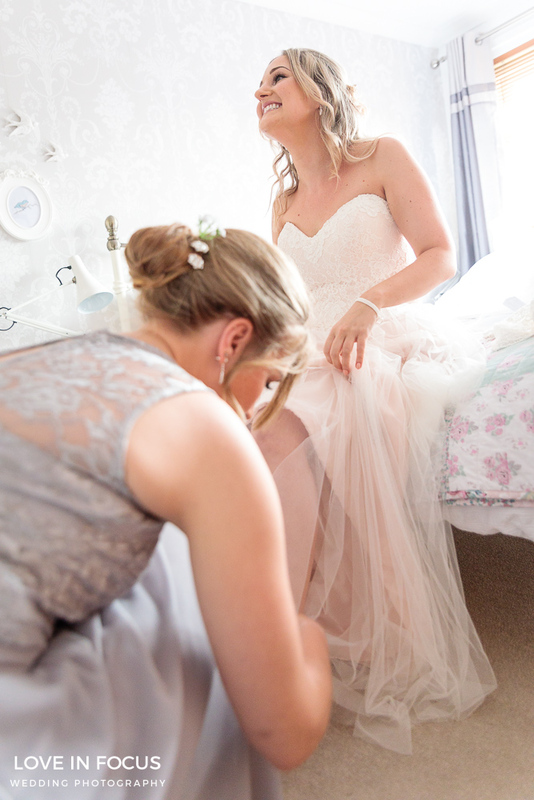 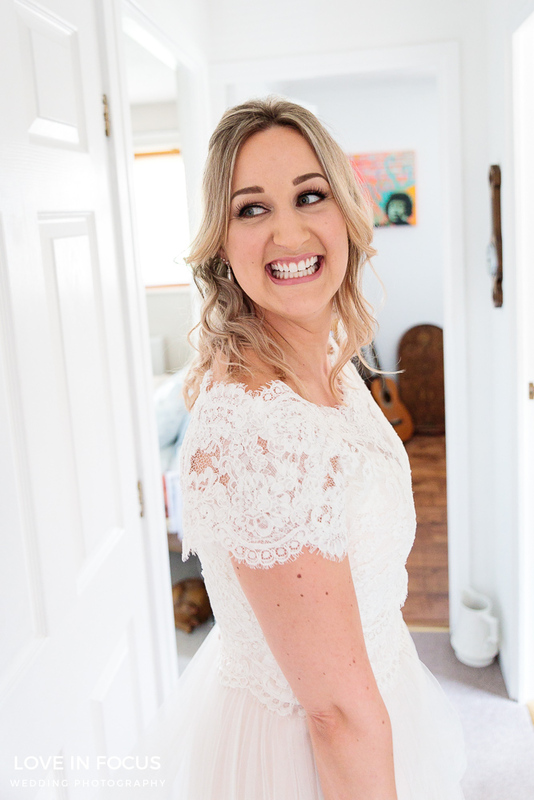 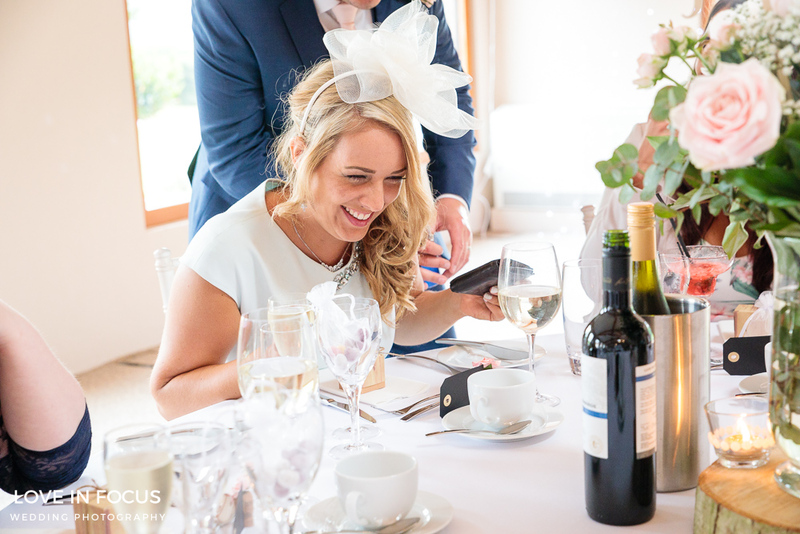 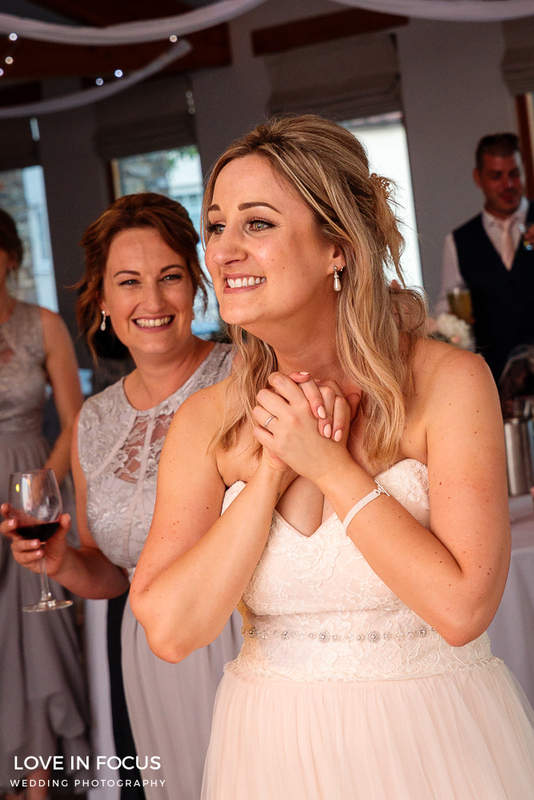 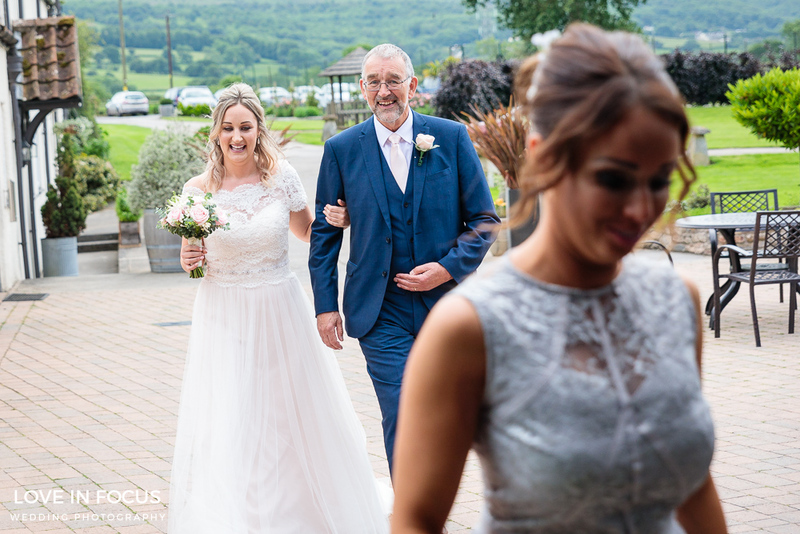 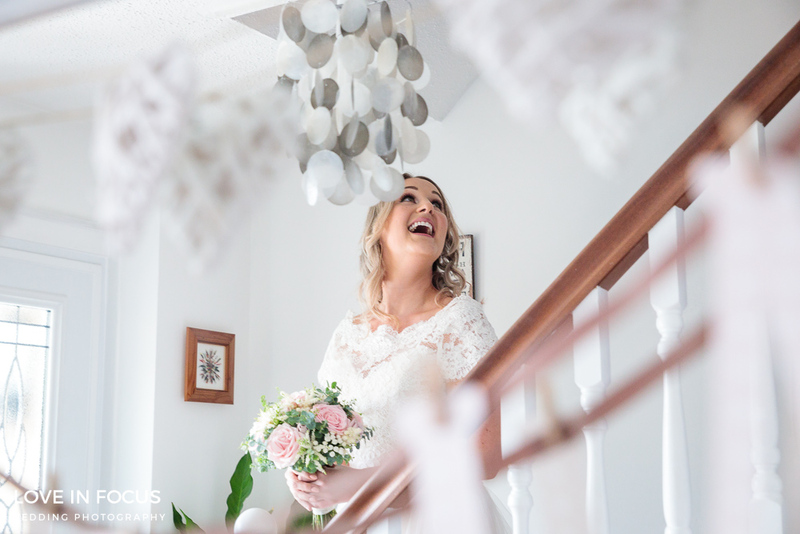 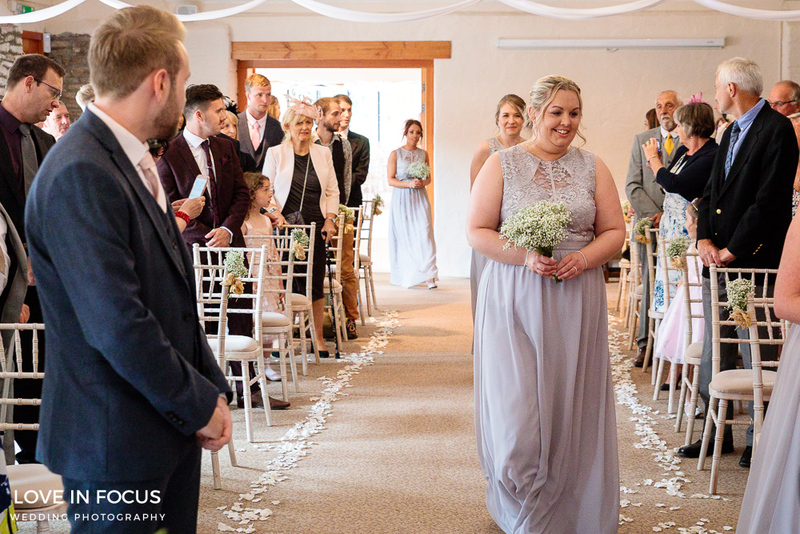 Amy looked amazing in her dress with beautiful lace detail and chiffon on the skirt that gave her a wonderful silhouette. 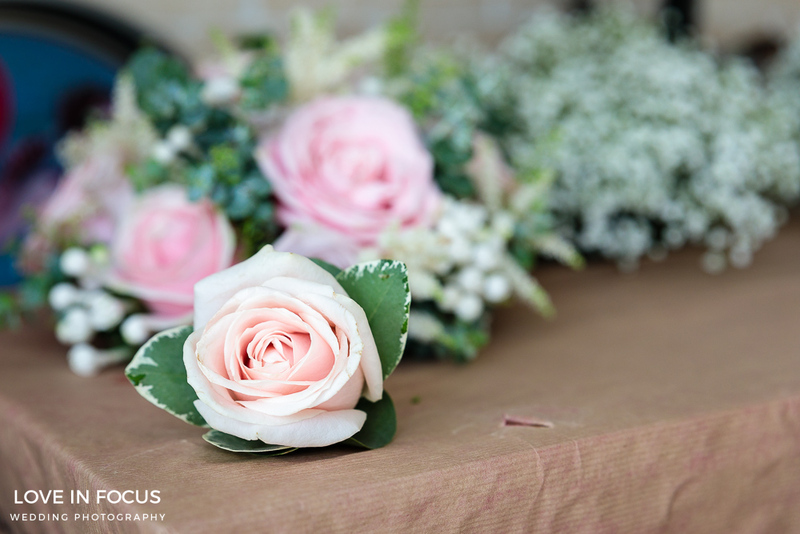 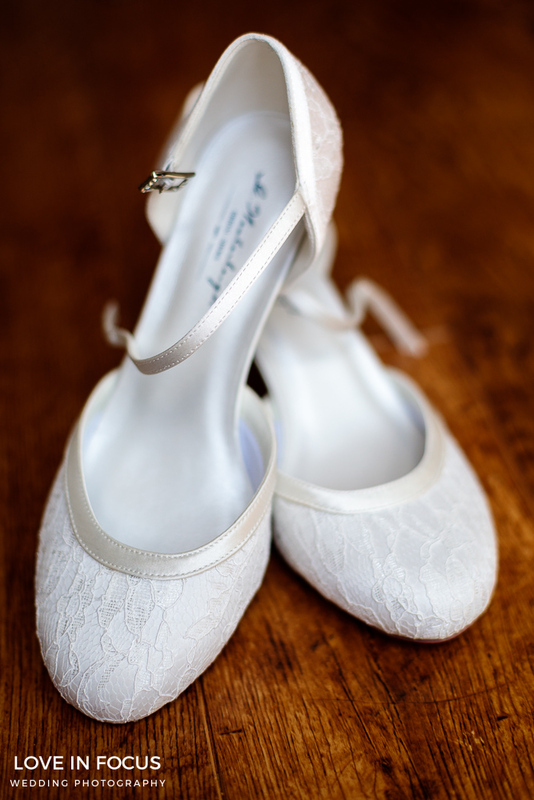 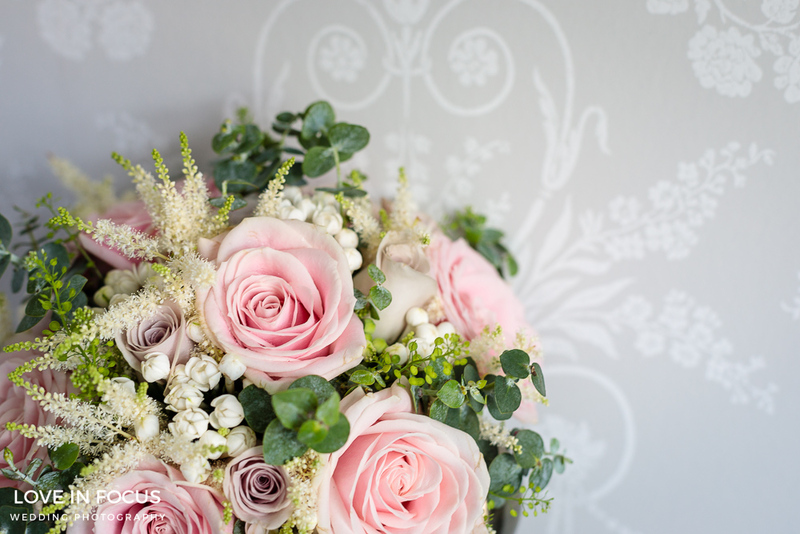 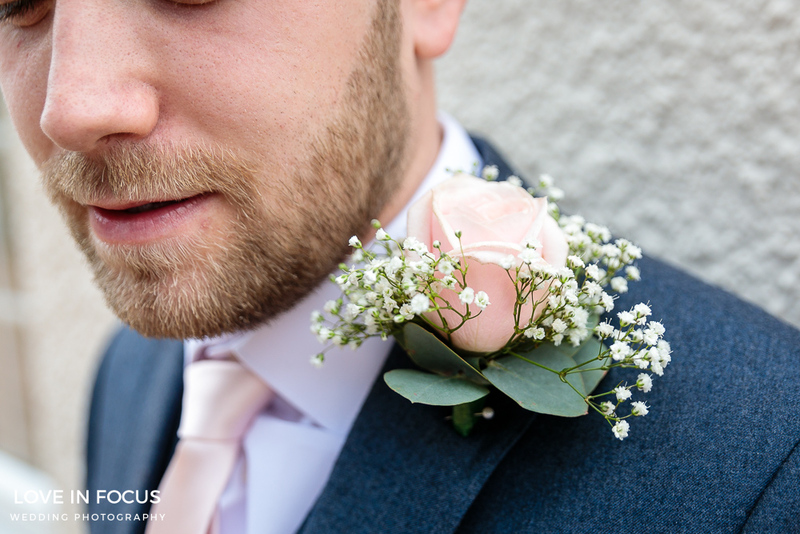 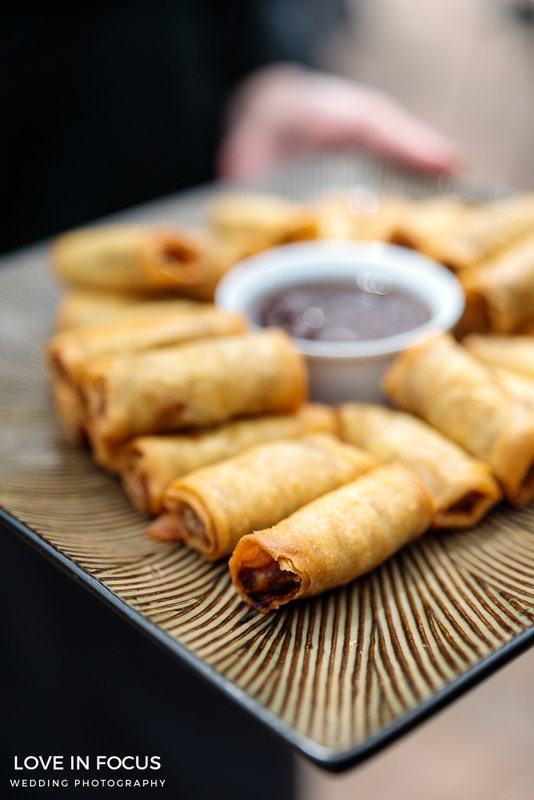 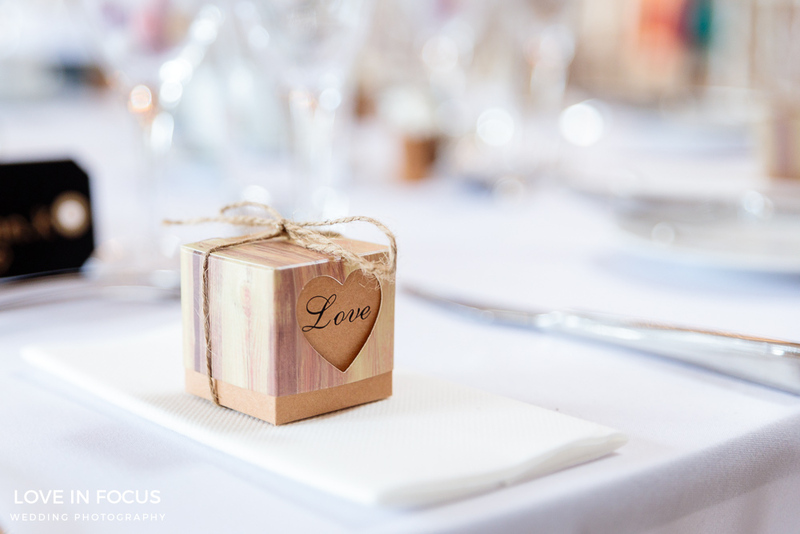 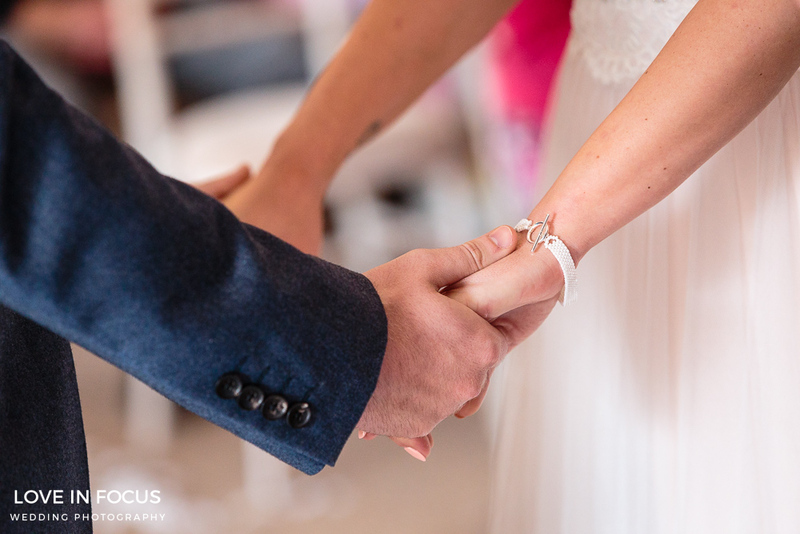 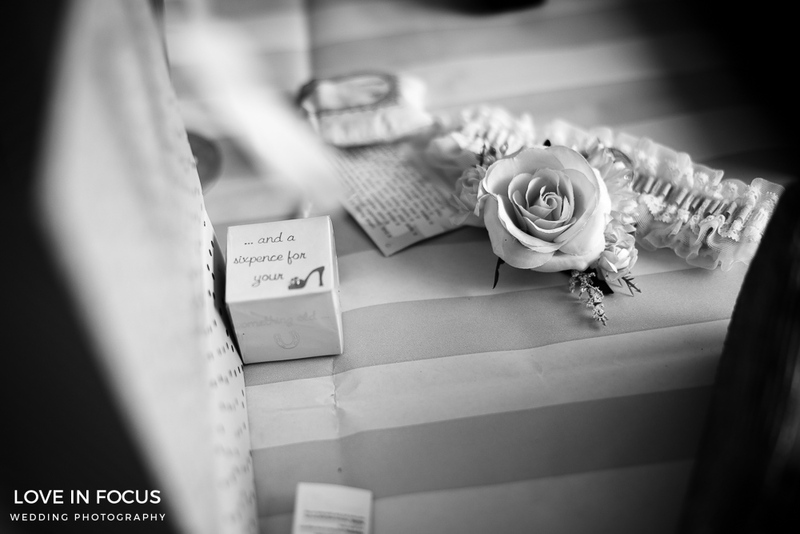 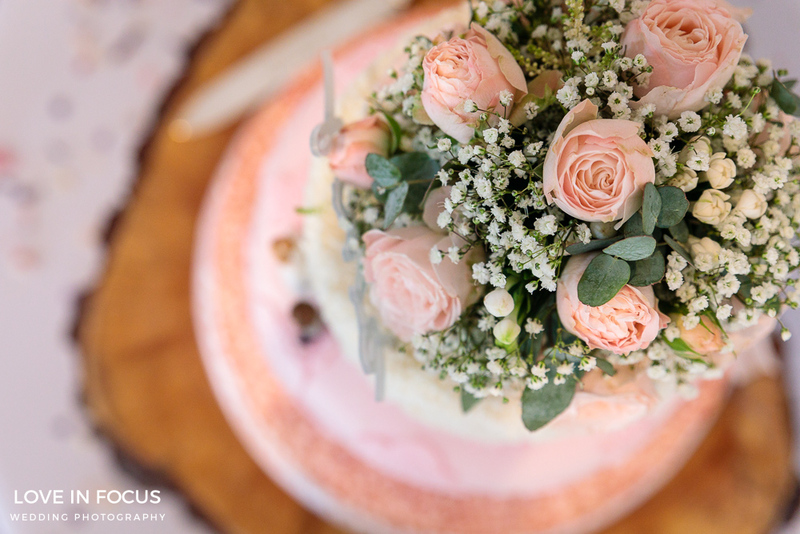 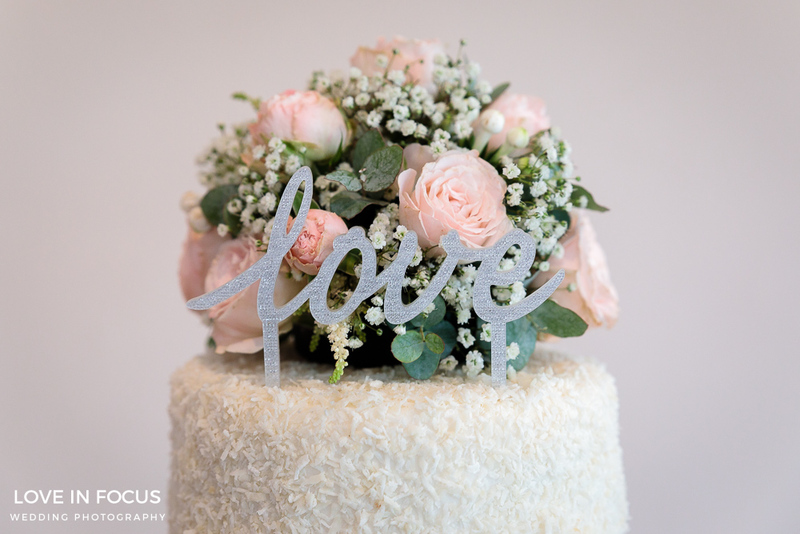 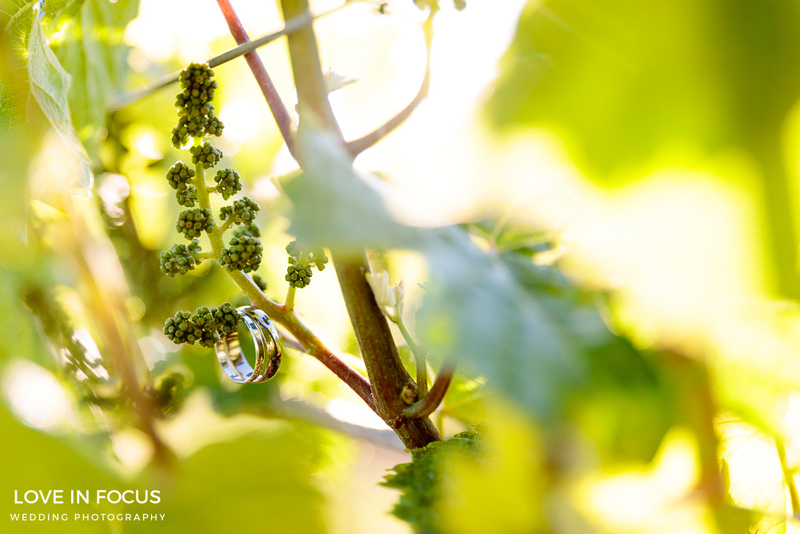 I then headed for Aldwick Court Farm to take some lovely shots of the venue and the little touches. 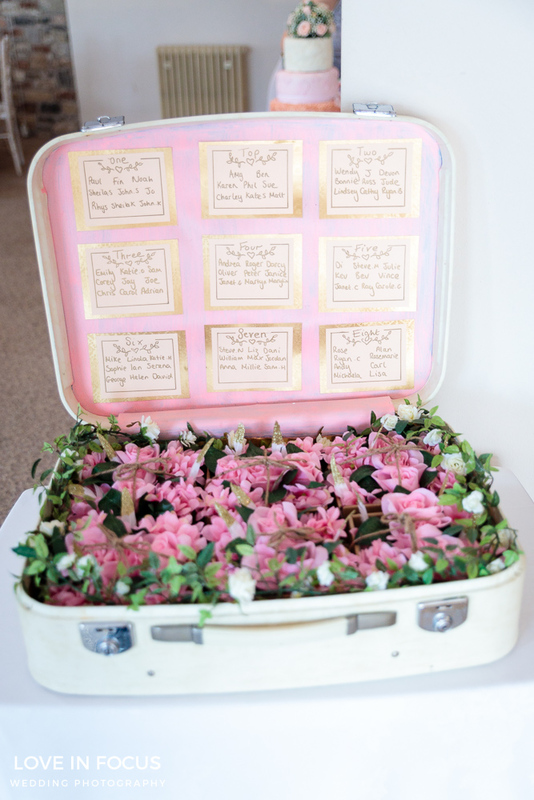 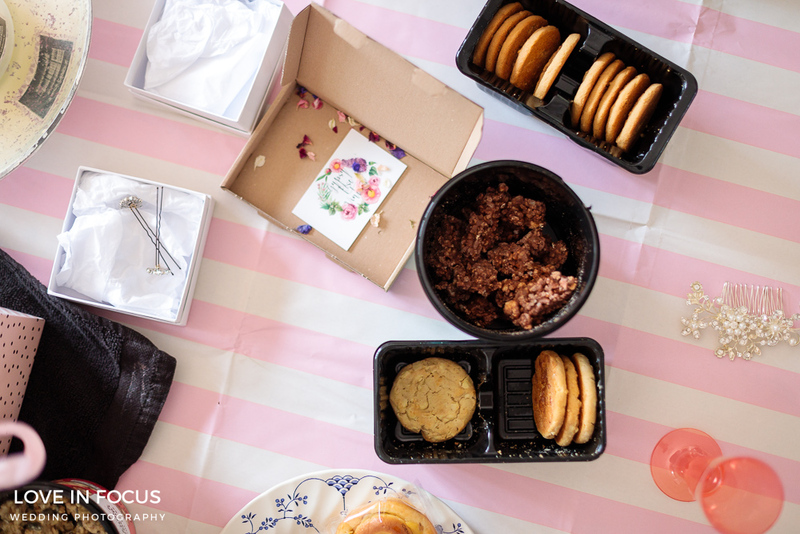 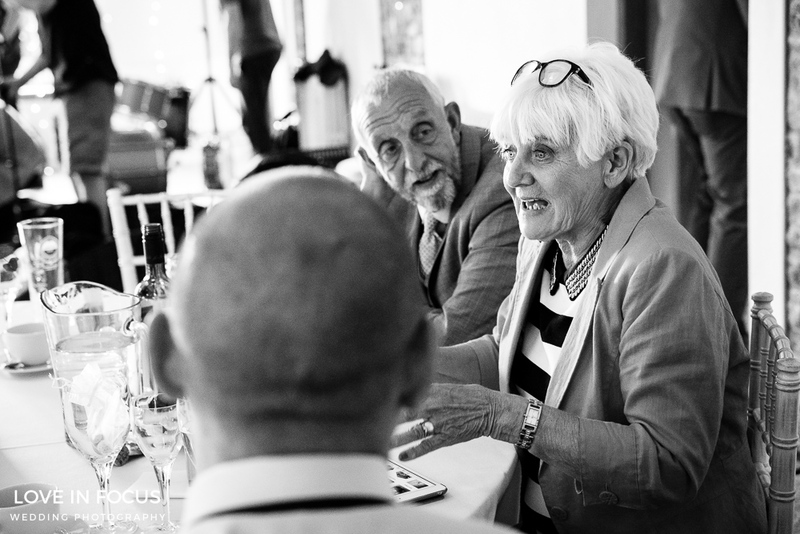 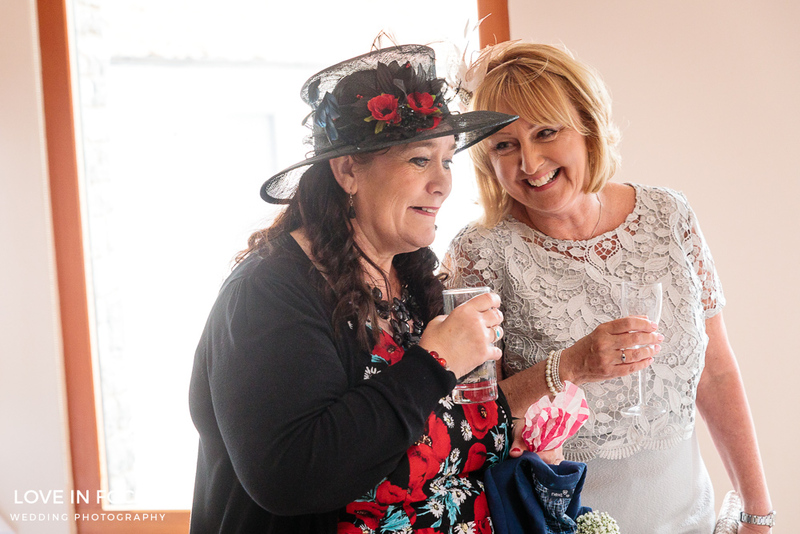 I particularly liked the suitcase filled with rose petals giving details of the seating plan and the elegantly dressed tables with white linen and beautiful floral displays and jars of wedding favours. 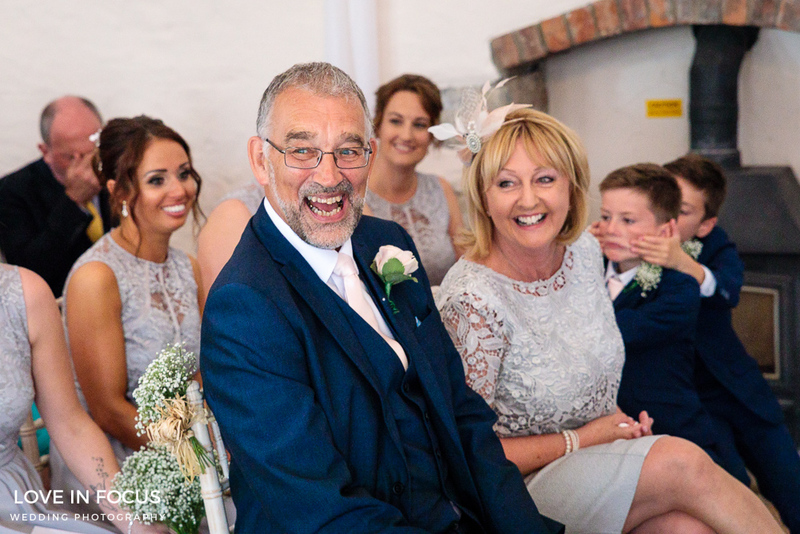 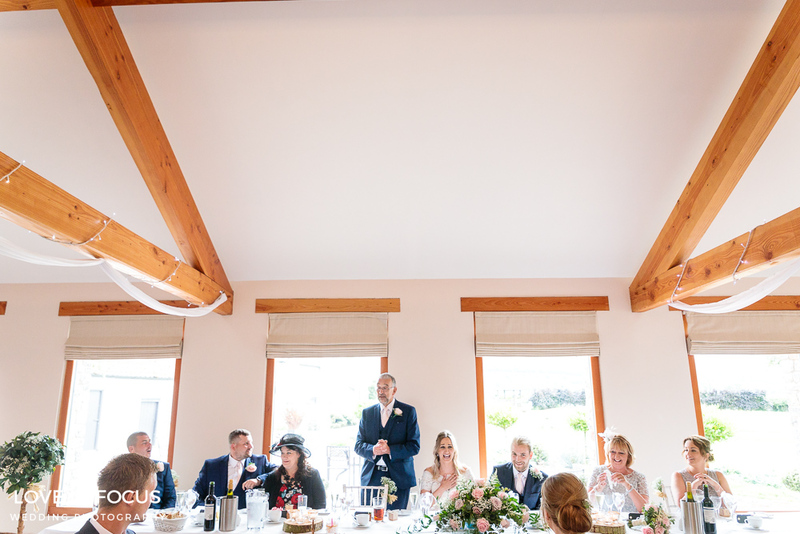 All the chic rustic charm you would expect from an Aldwick Court Farm wedding. 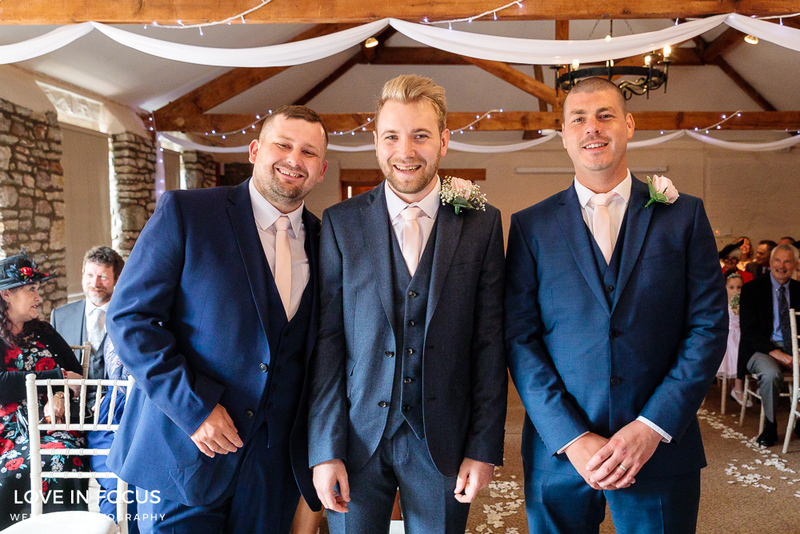 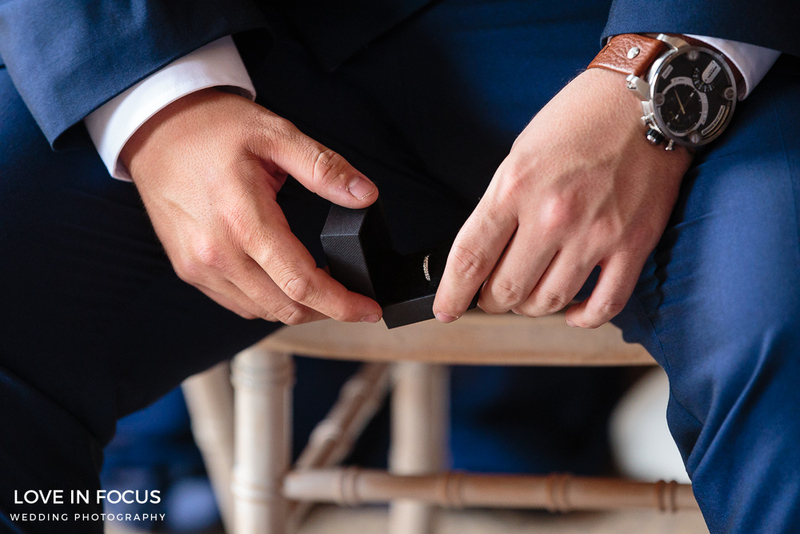 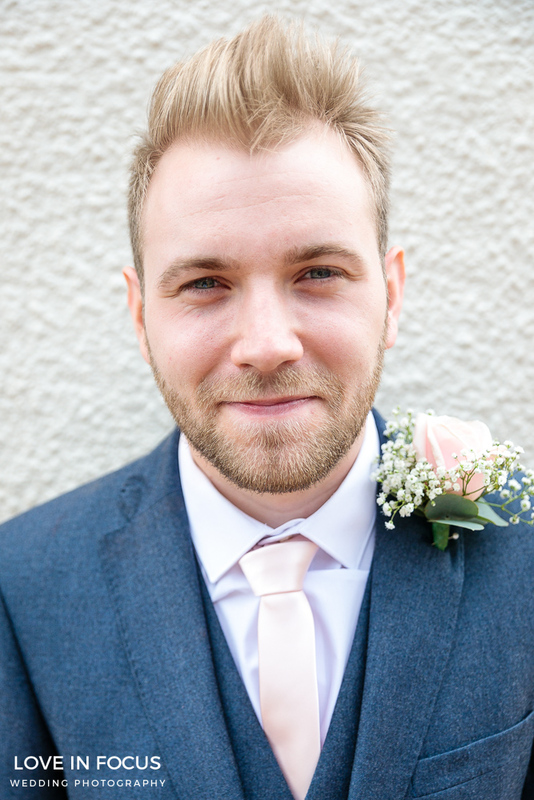 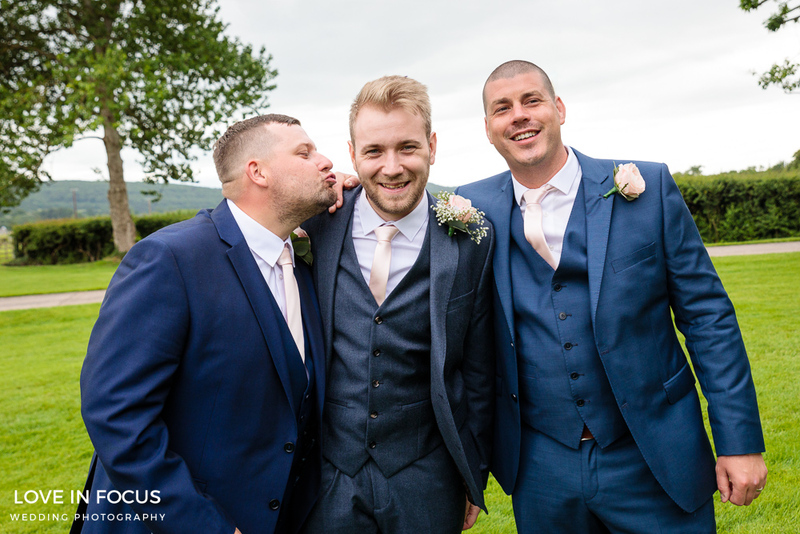 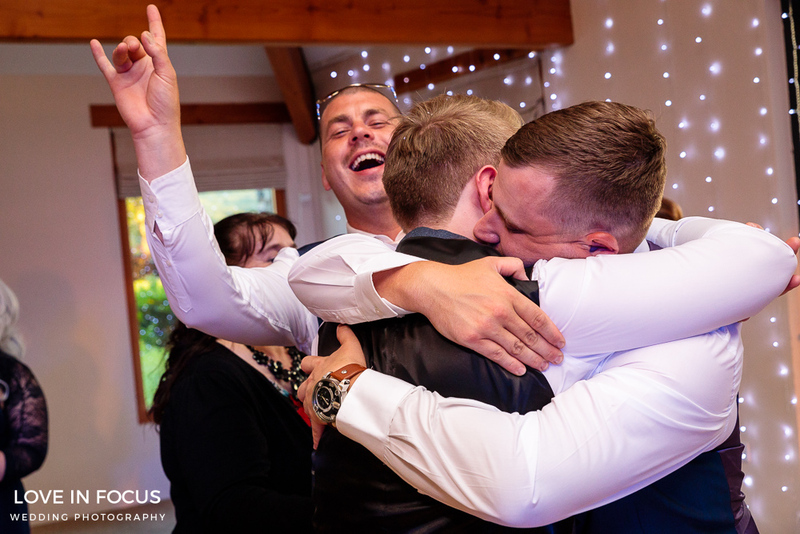 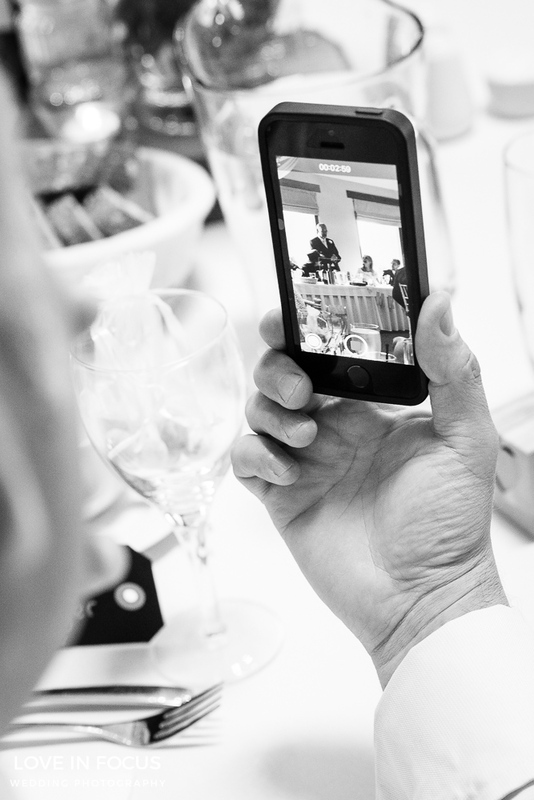 I also caught up with Ben and his grooms’ party before the ceremony and took some shots of them. 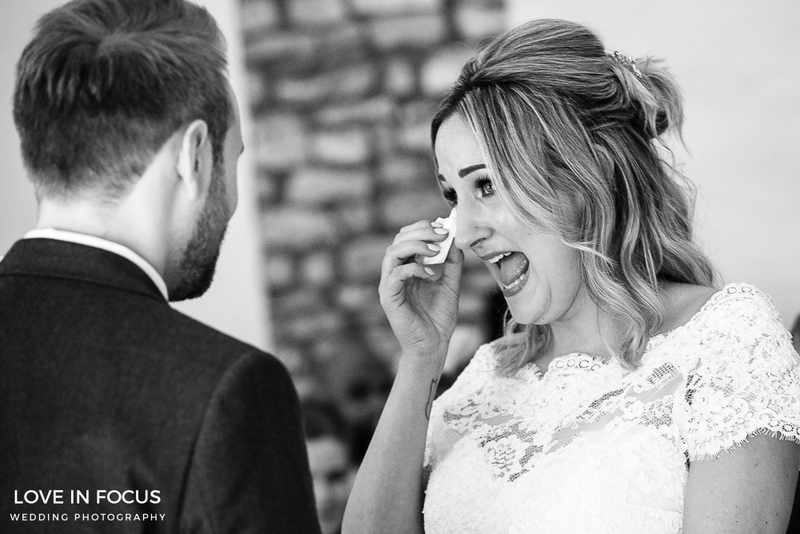 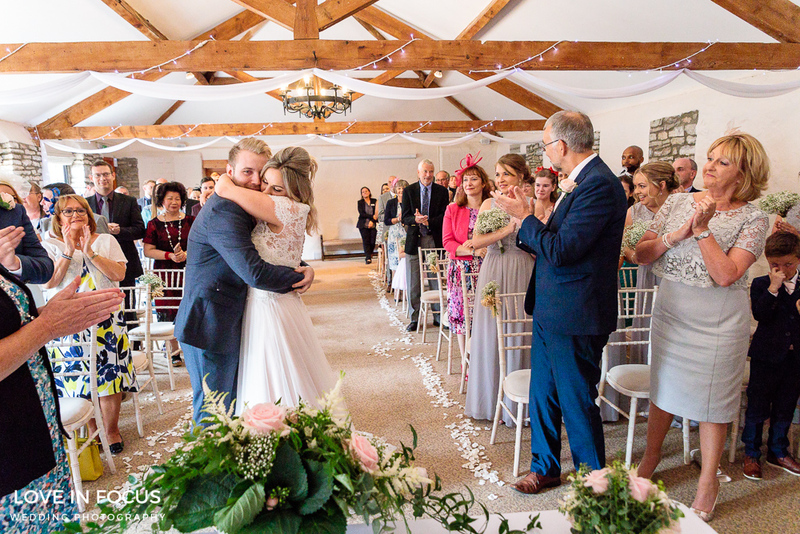 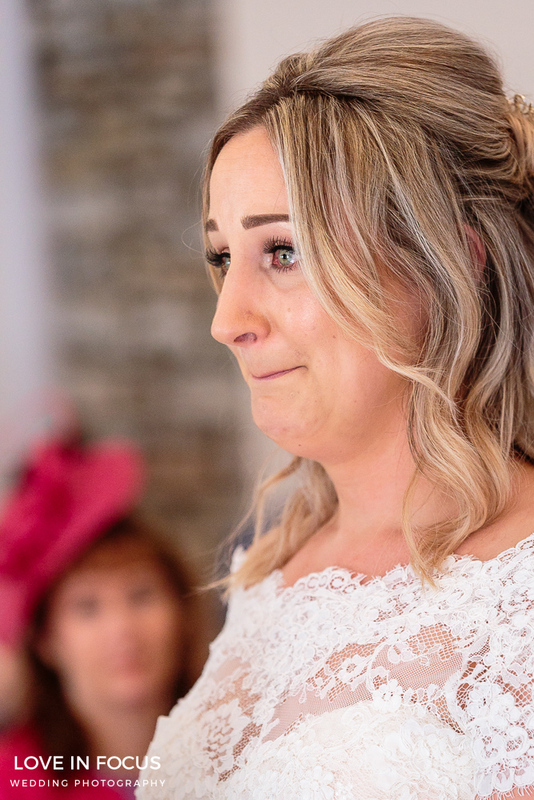 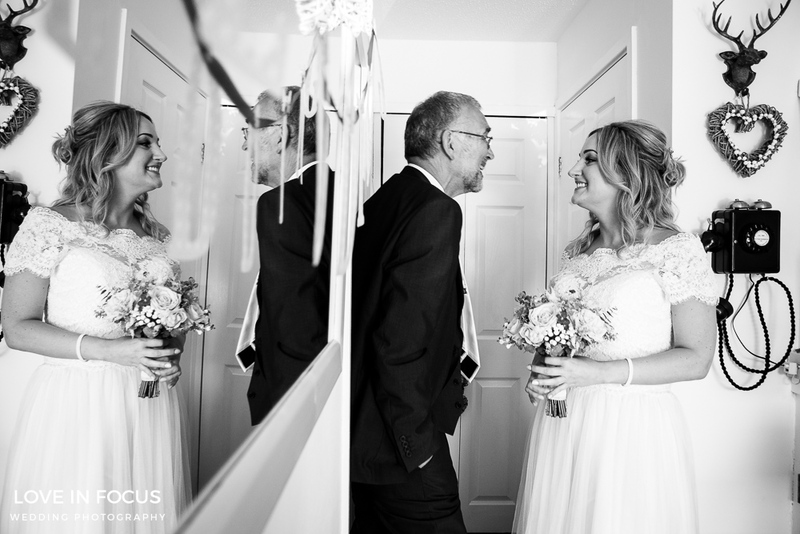 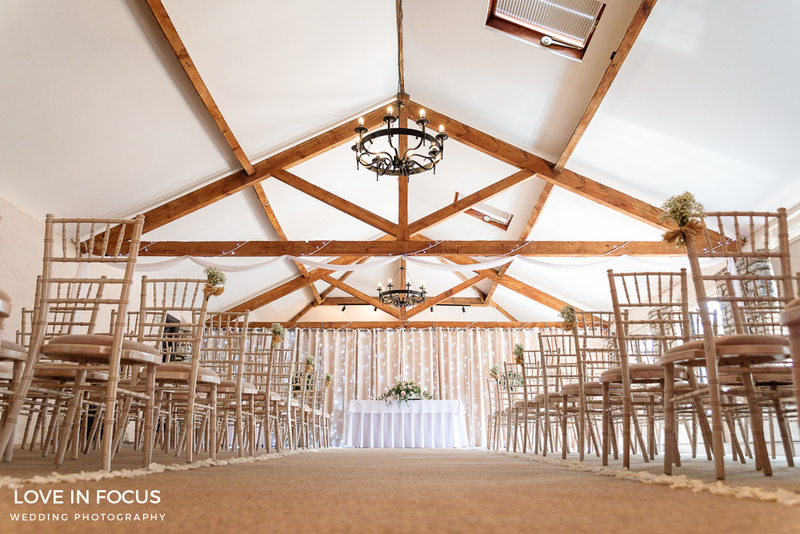 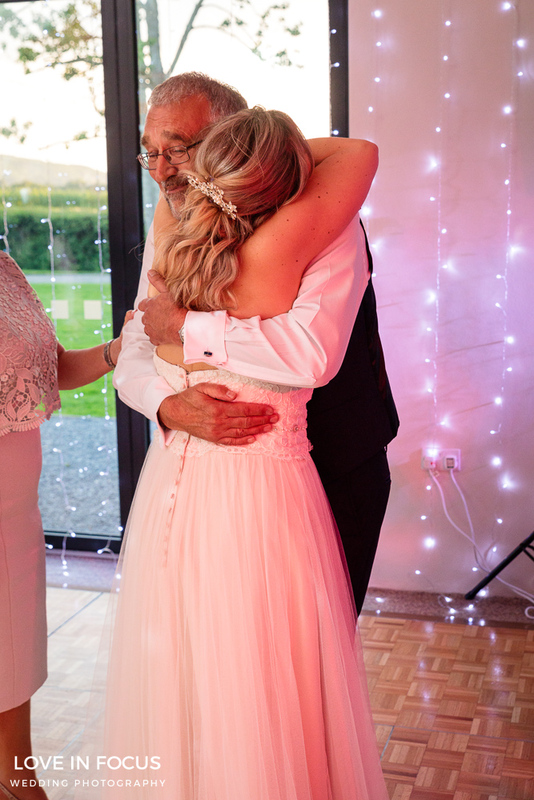 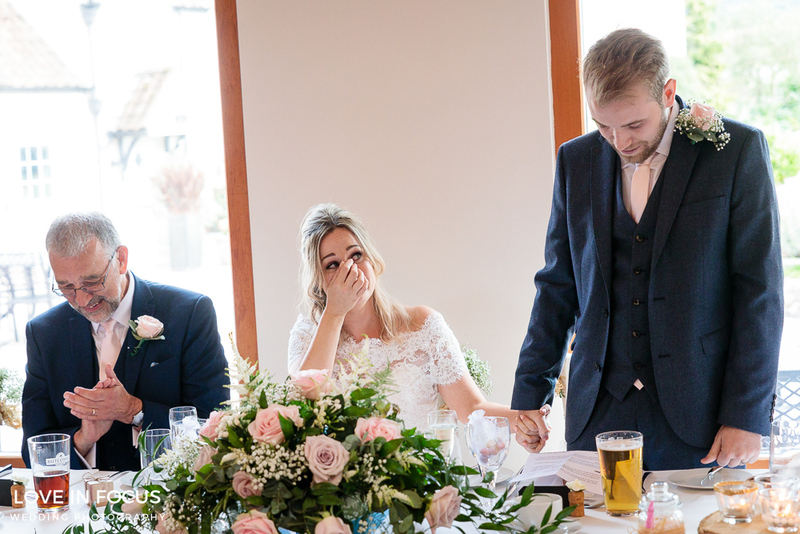 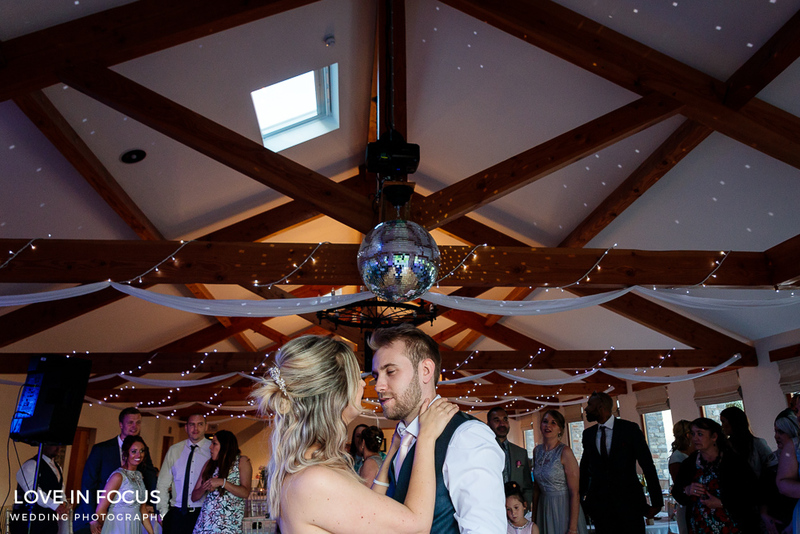 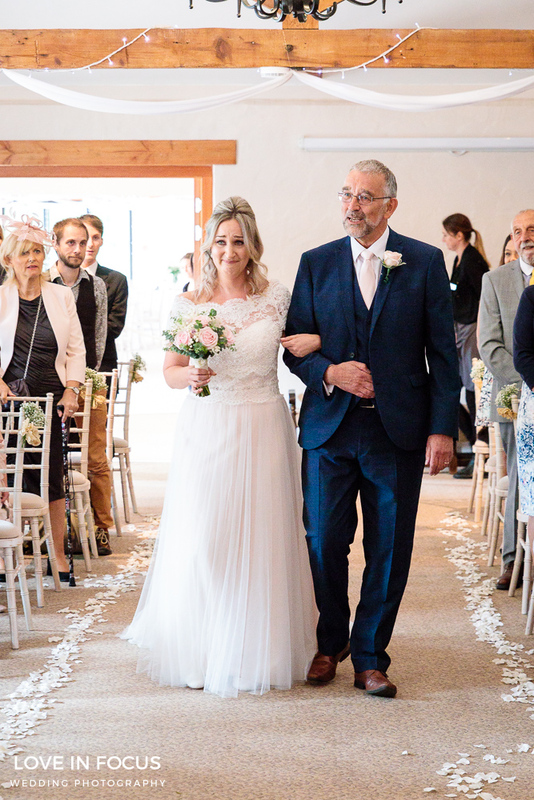 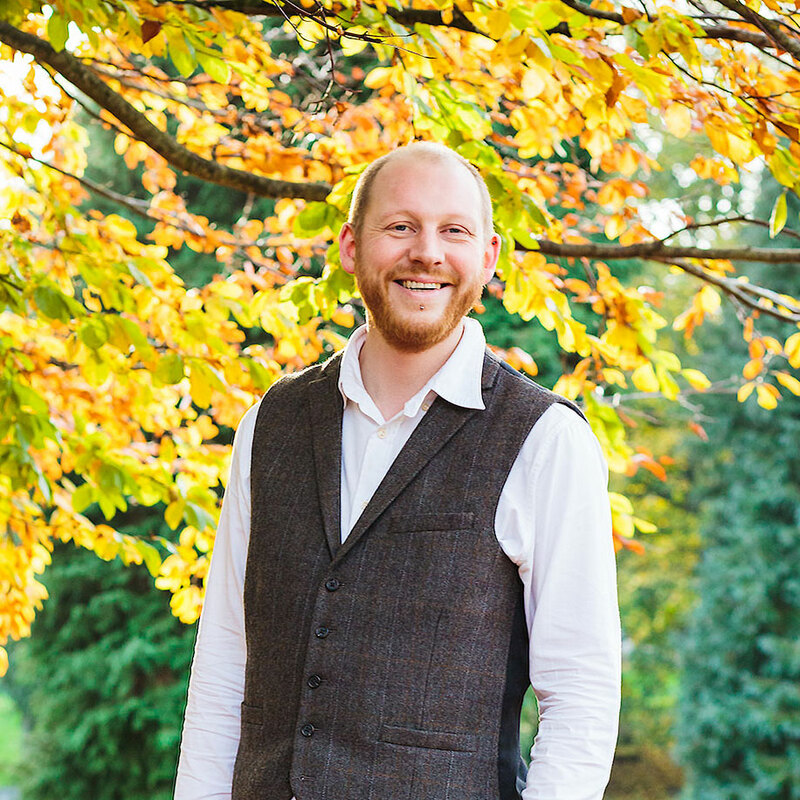 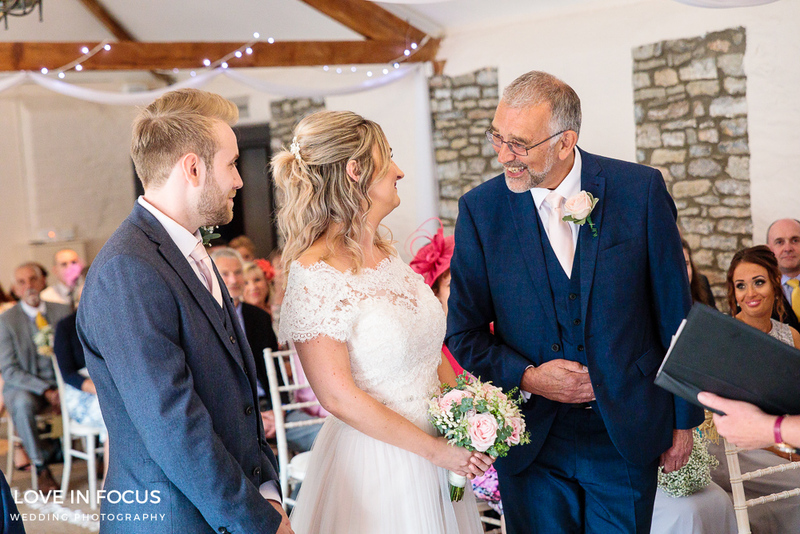 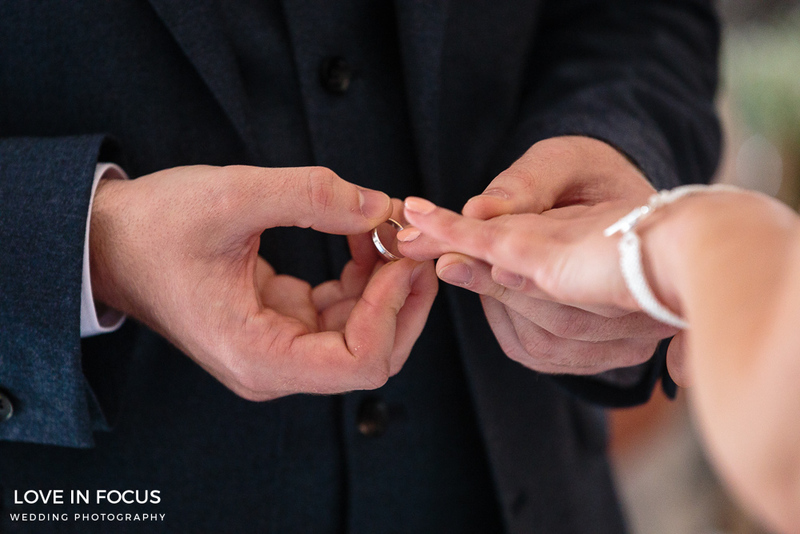 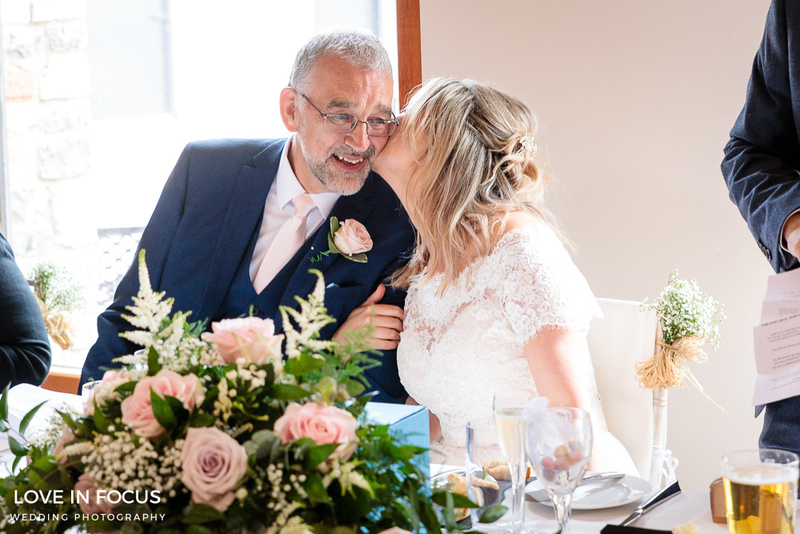 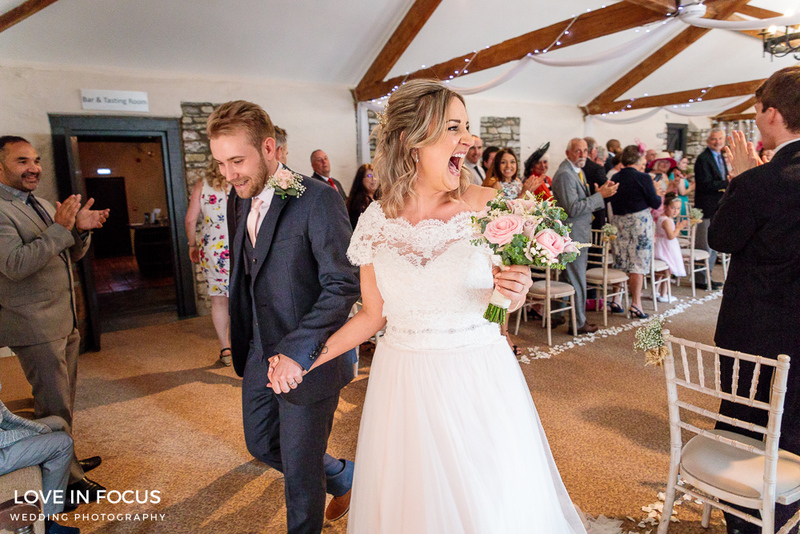 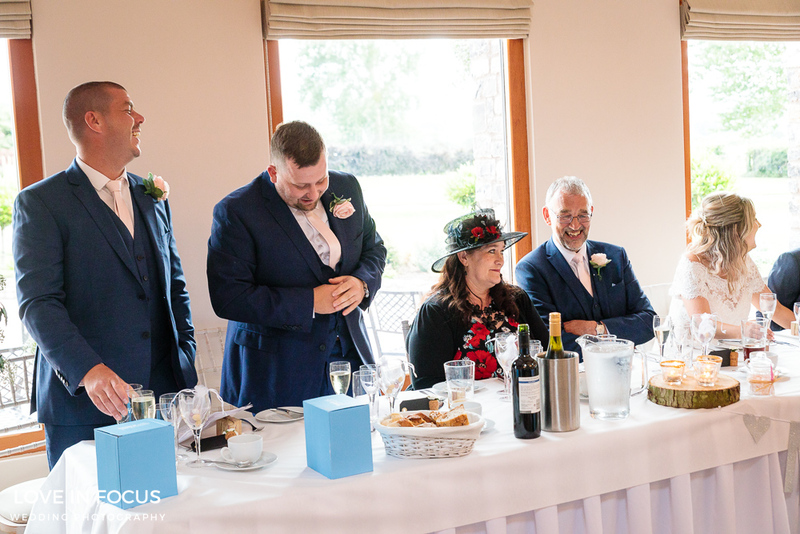 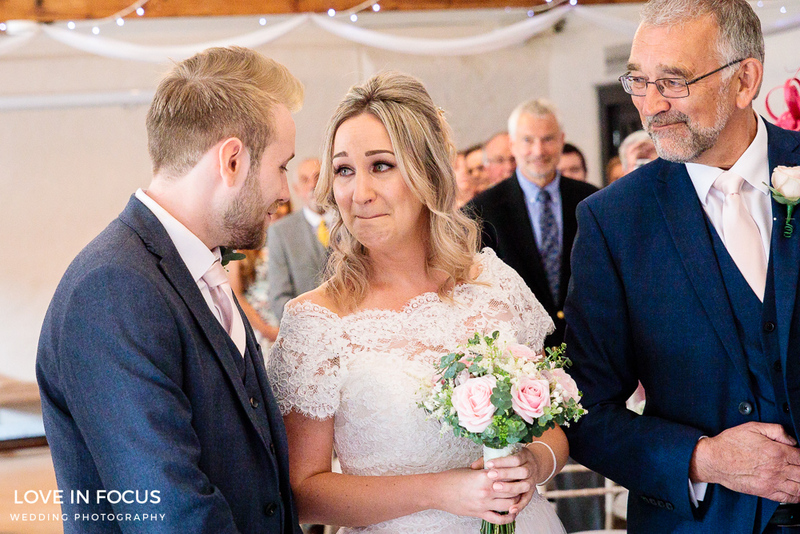 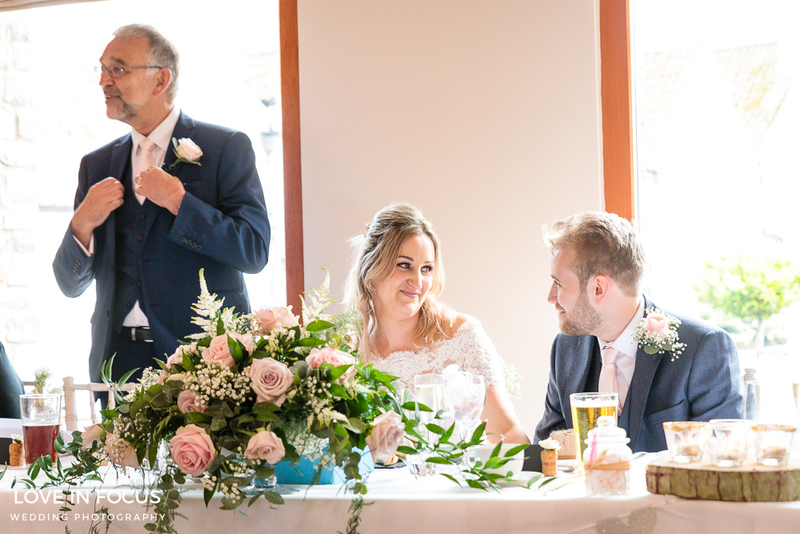 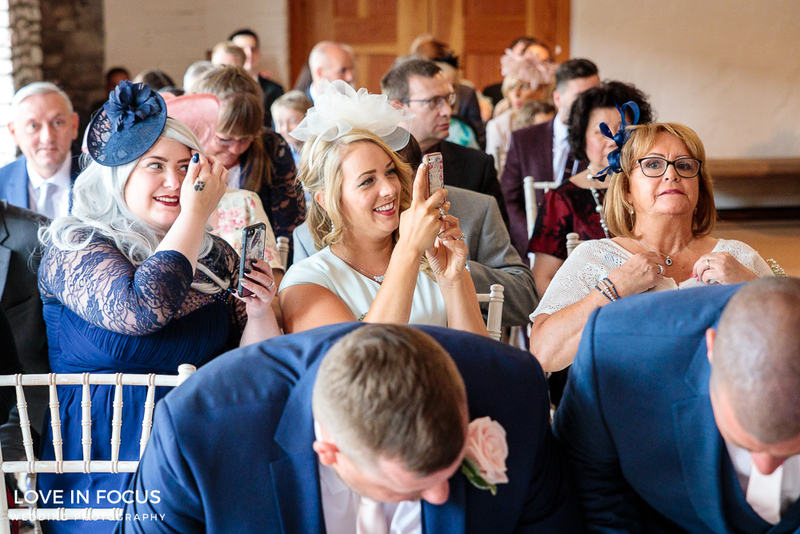 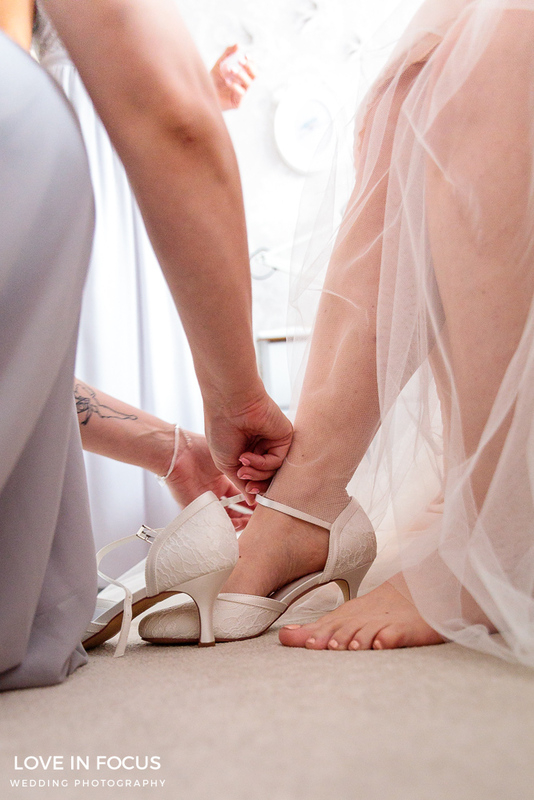 The ceremony was held in one of Aldwick Court’s beautifully restored 17th century barns that has panoramic views that flow through the gardens and over the fields to the River Yeo (an acclaimed area of outstanding natural beauty). 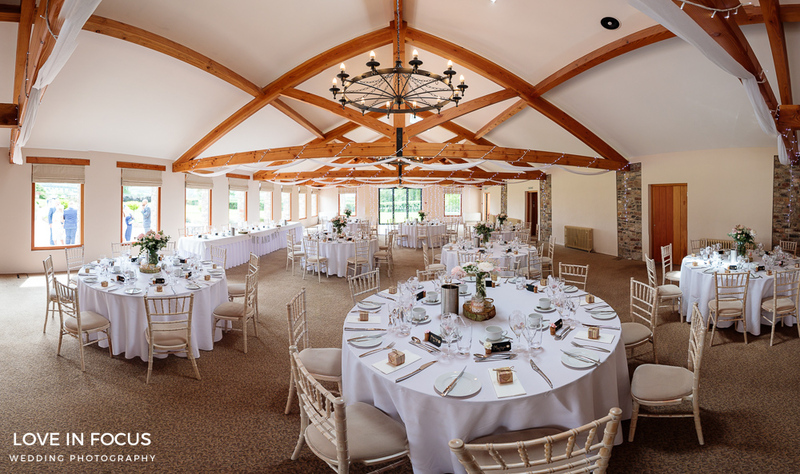 It’s no wonder Aldwick Court Farm recently won best venue award at the Bristol and Somerset Wedding Awards. 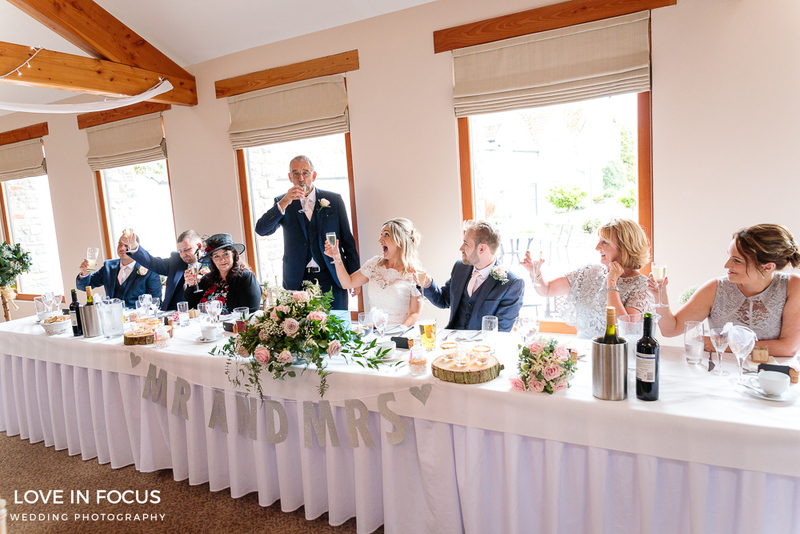 After a lovely ceremony Amy, Ben and their guests enjoyed drinks and nibbles in the gorgeous courtyard garden accompanied by a live band. 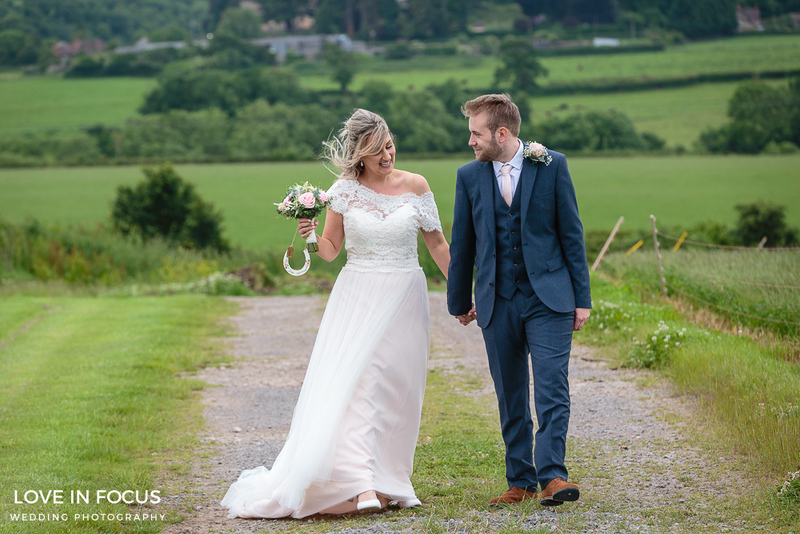 And whilst everybody mingled I took the opportunity to take some shots of the wedding party and some great portrait shots of Amy and Ben on location around the farm. 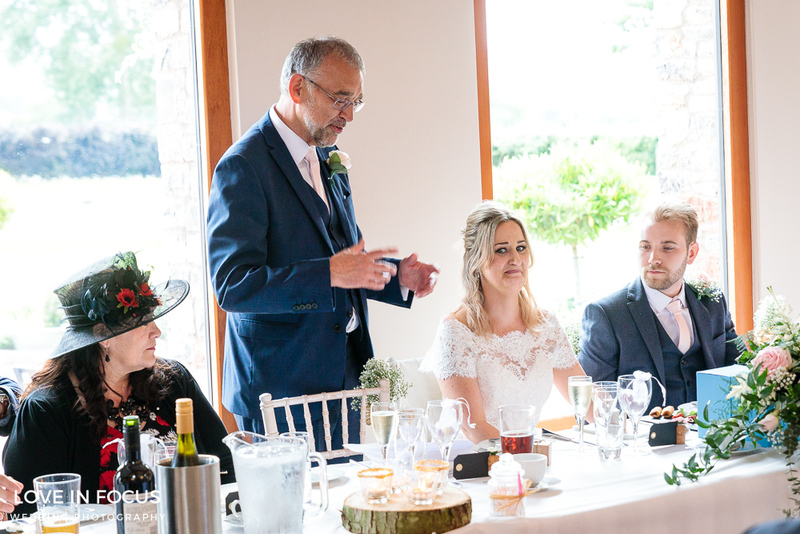 Everybody then went back inside for some very well received speeches and a delicious wedding breakfast. 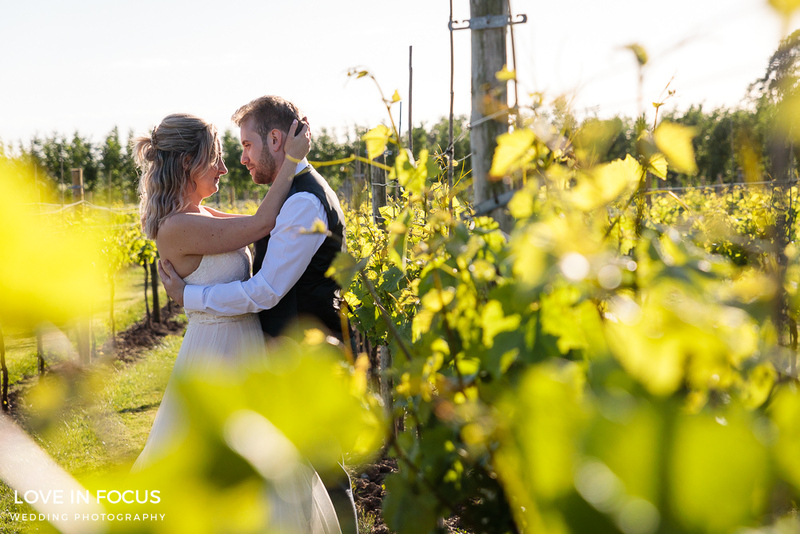 Afterwards as everybody flooded back outside to make the most of the late sunshine I took Amy and Ben across to the vineyard to get some romantic portrait shots. 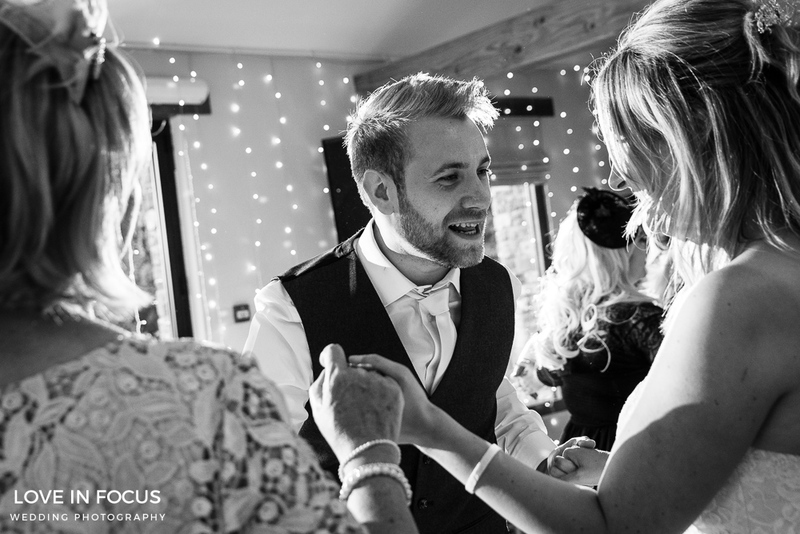 As evening guests began to arrive we went back inside for the cutting of the cake and the first dance. 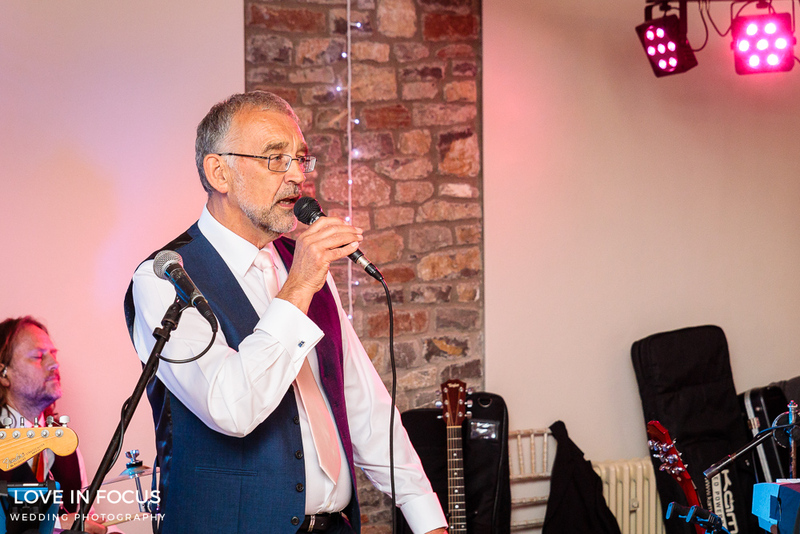 Then everybody was treated to a fantastic adapted rendition of wonderful tonight sang by Amy’s dad which was very emotional and received rapturous applause at the end. 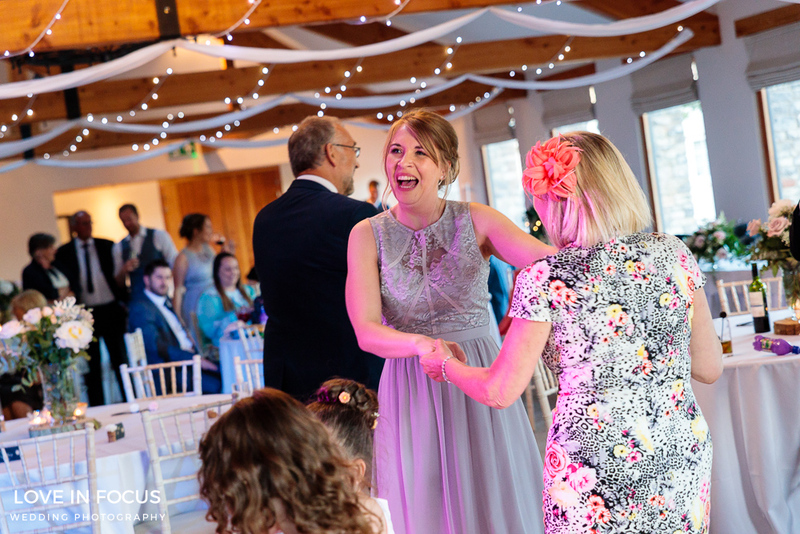 This was followed by much merriment on the dancefloor so it seemed the perfect time to take my leave. 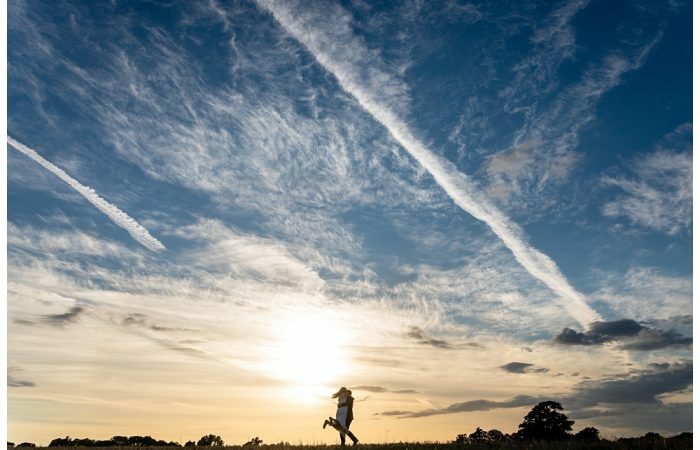 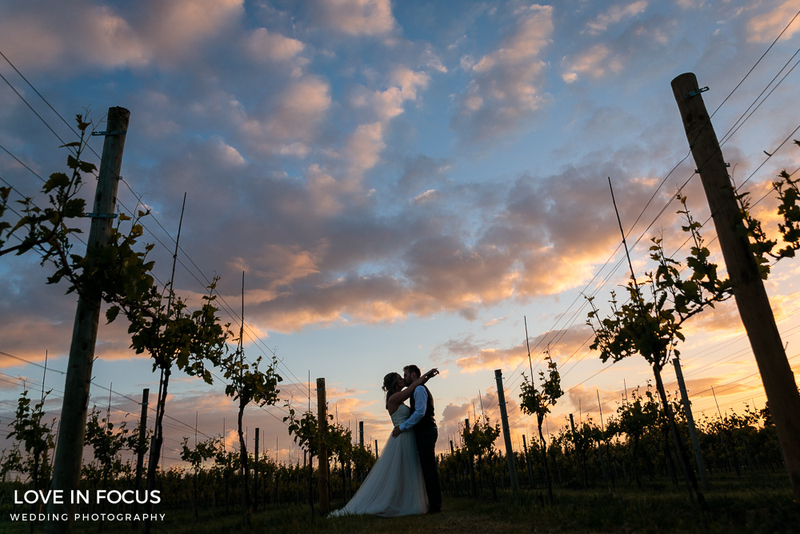 However, when packing up my car I noticed there was a lovely sunset so ran back in to grab Amy and Ben to get the final shot. 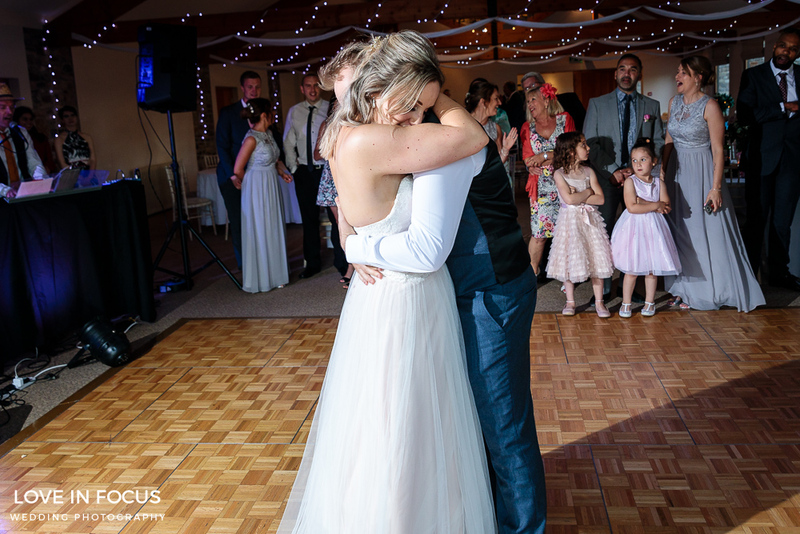 I’m so glad I did. 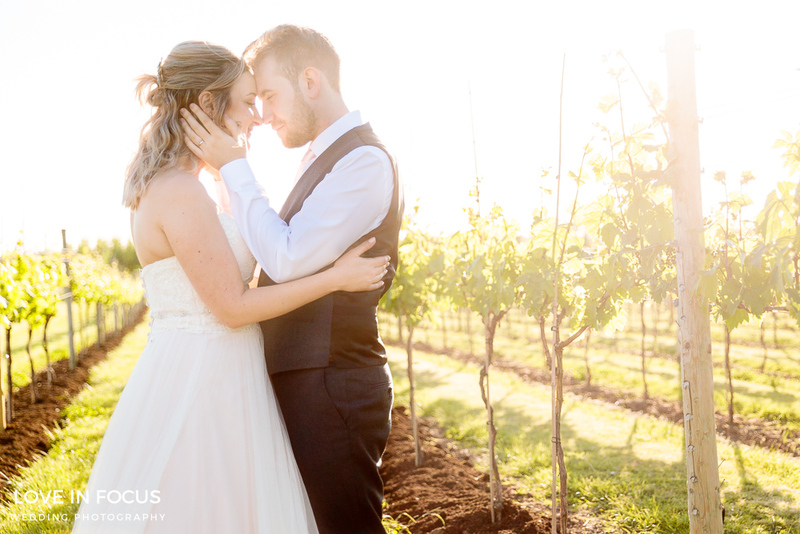 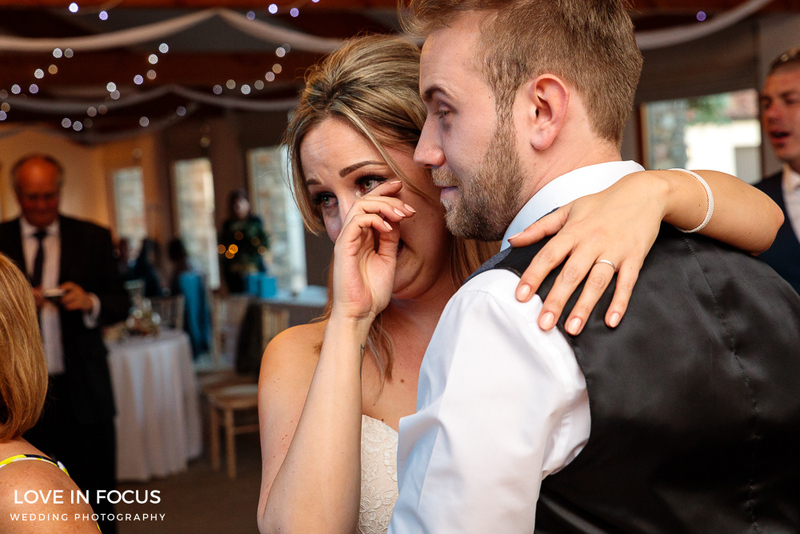 The image of Amy and Ben embracing in the vineyard set against a stunning sunset felt like a fitting image to close the story of their beautiful wedding day.